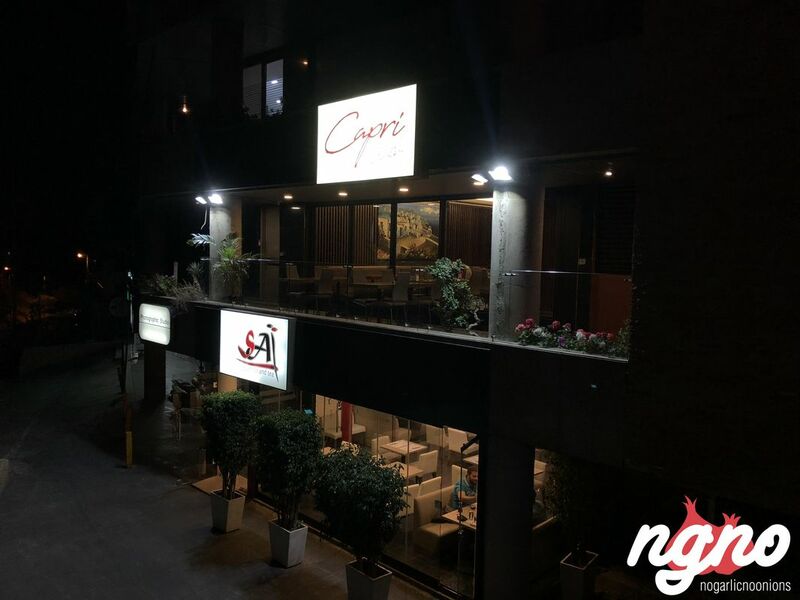 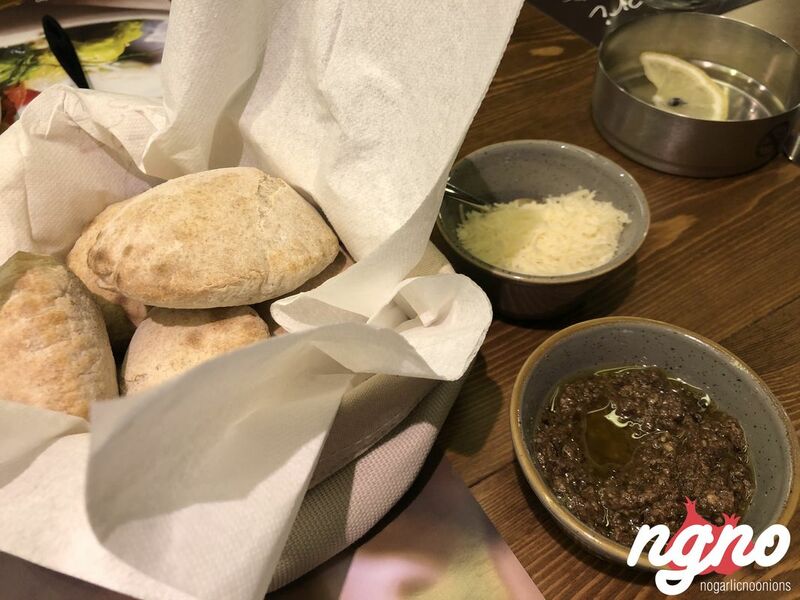 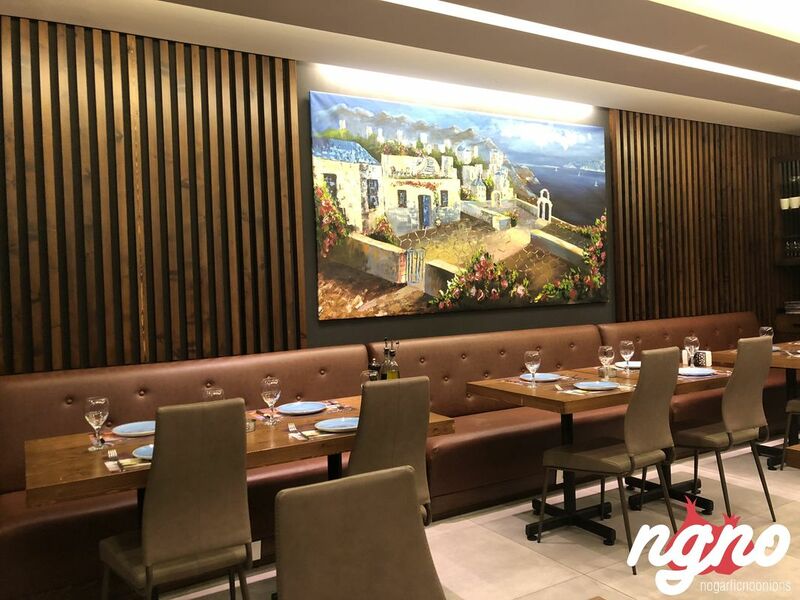 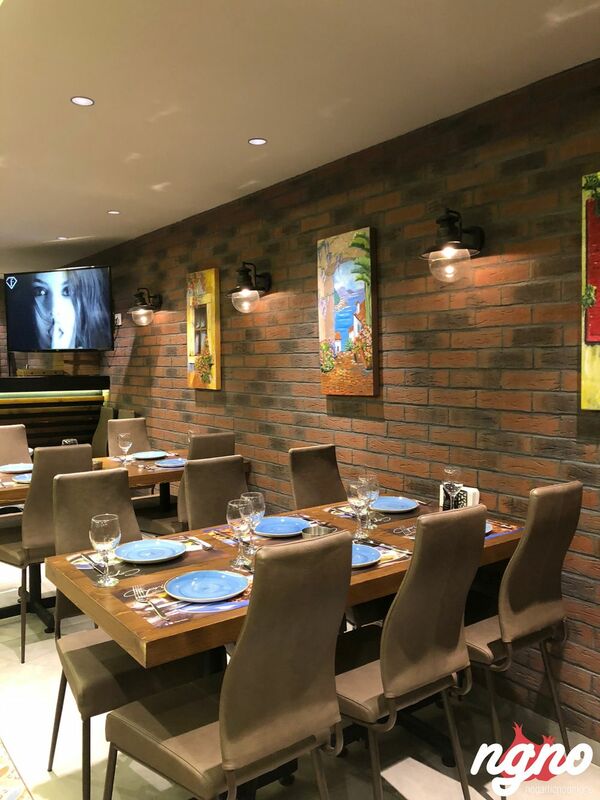 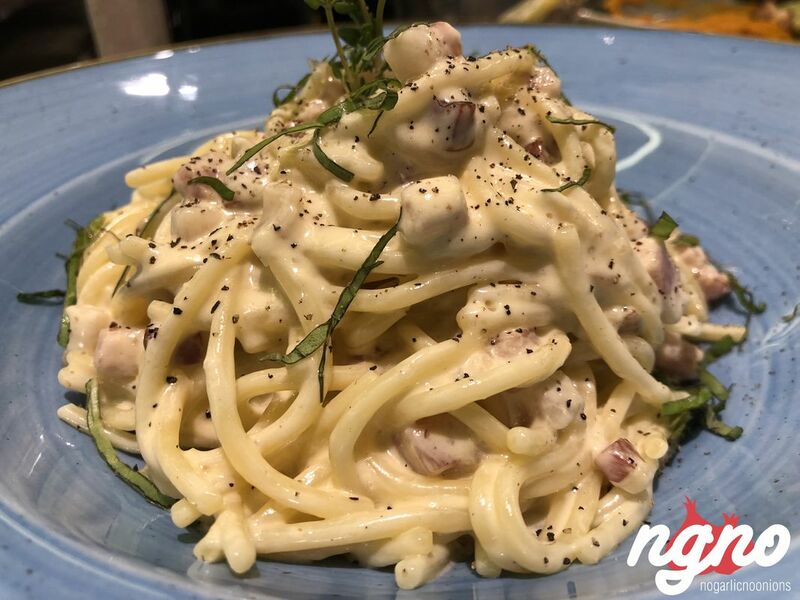 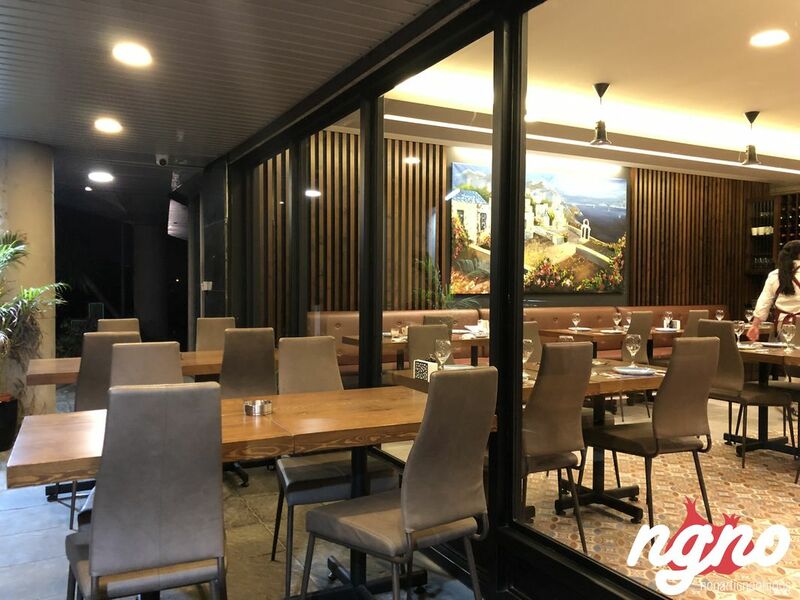 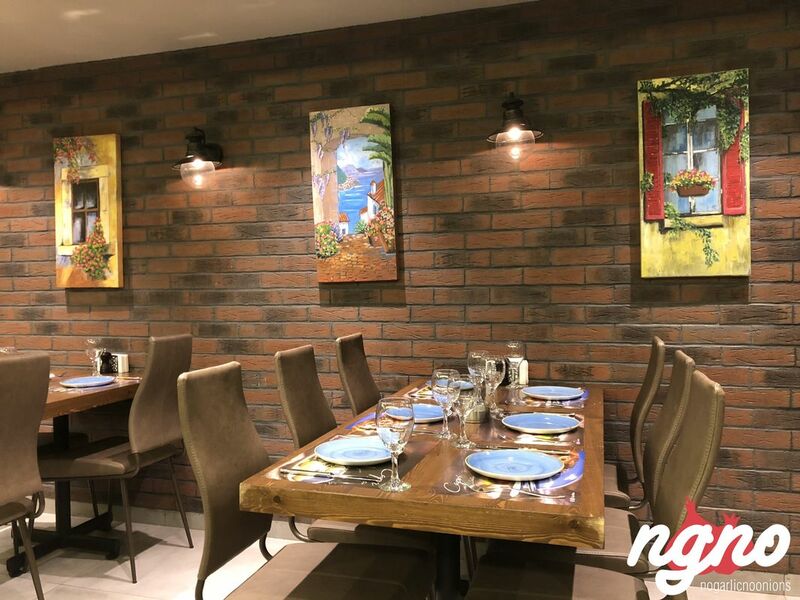 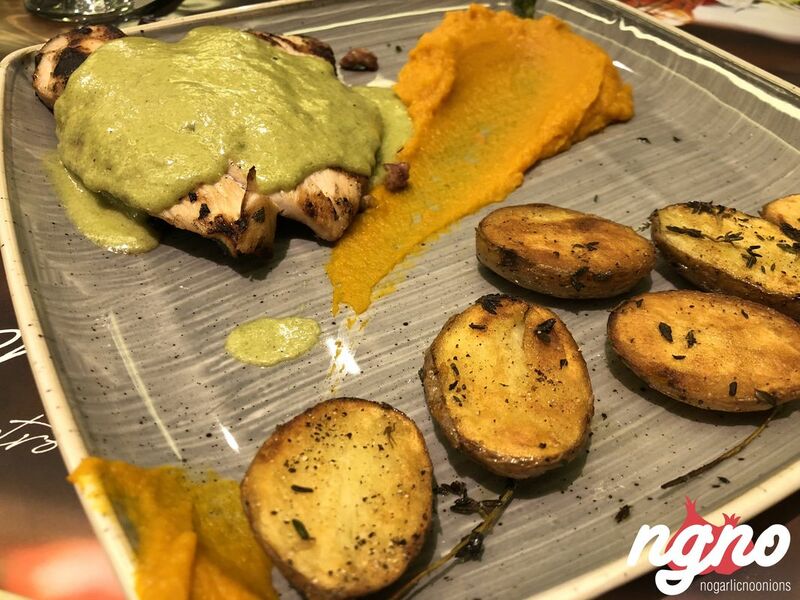 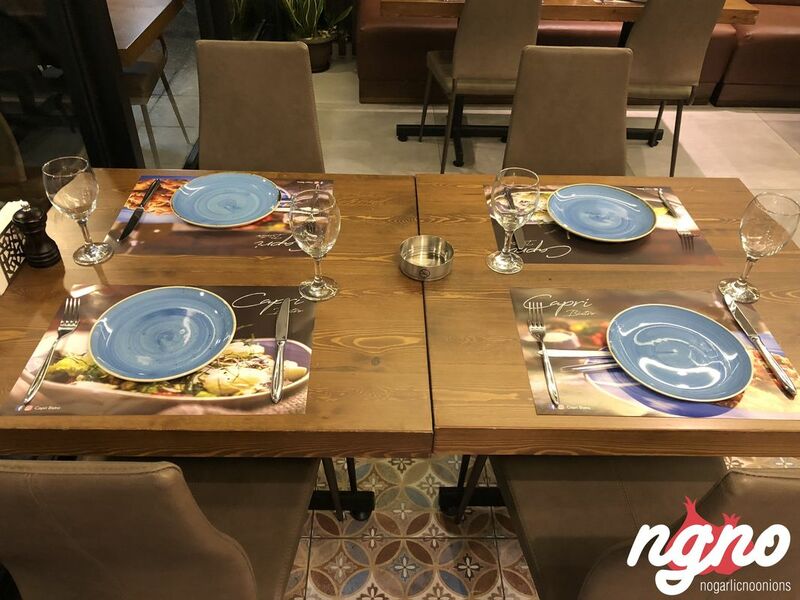 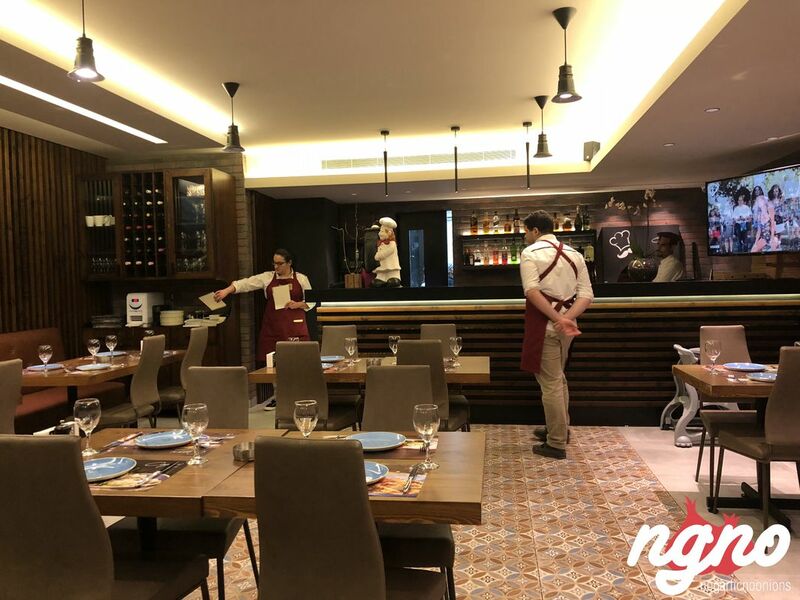 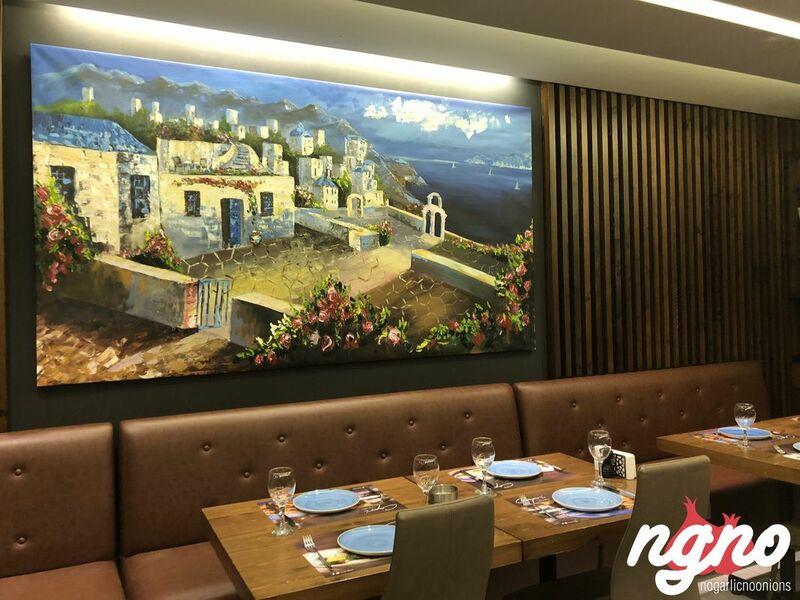 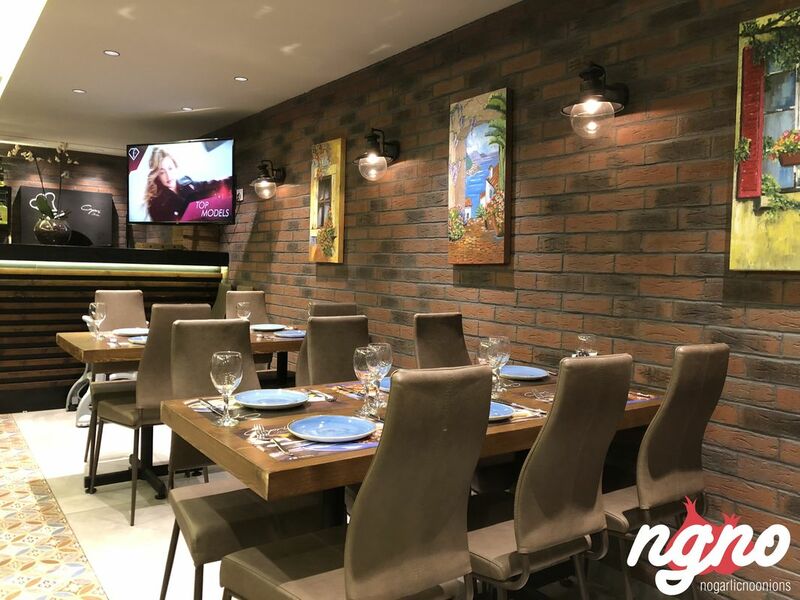 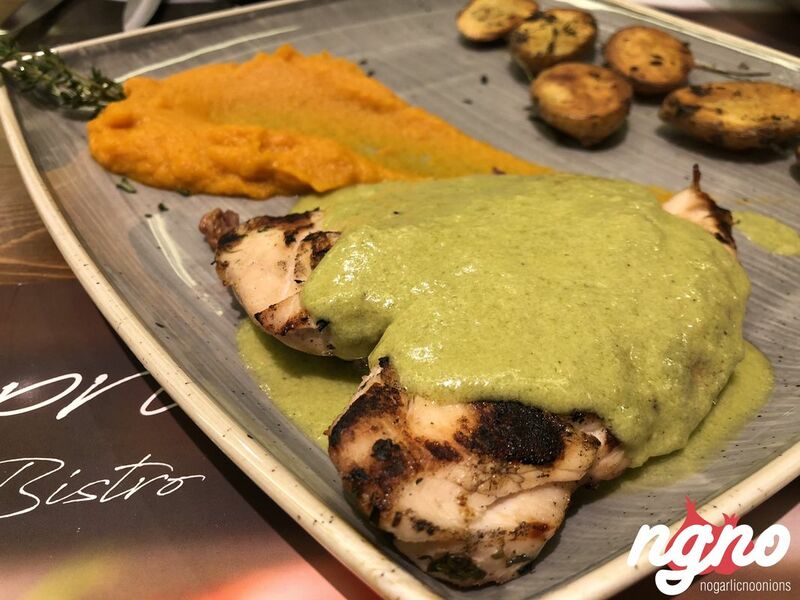 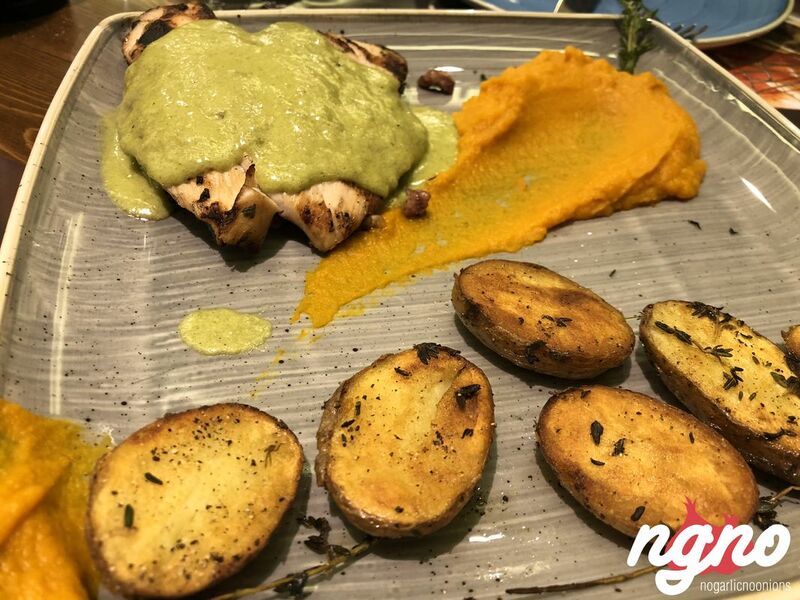 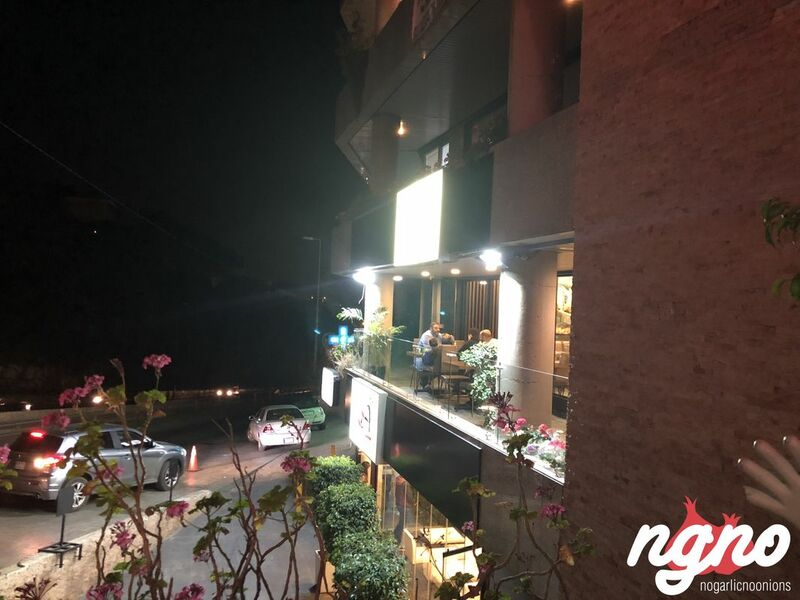 From the owners of SAI, Metn’s famous Japanese restaurant comes Capri, an Italian bistro catering to the demanding clientele of Rabieh, Mtayleb, and surrounding villages. 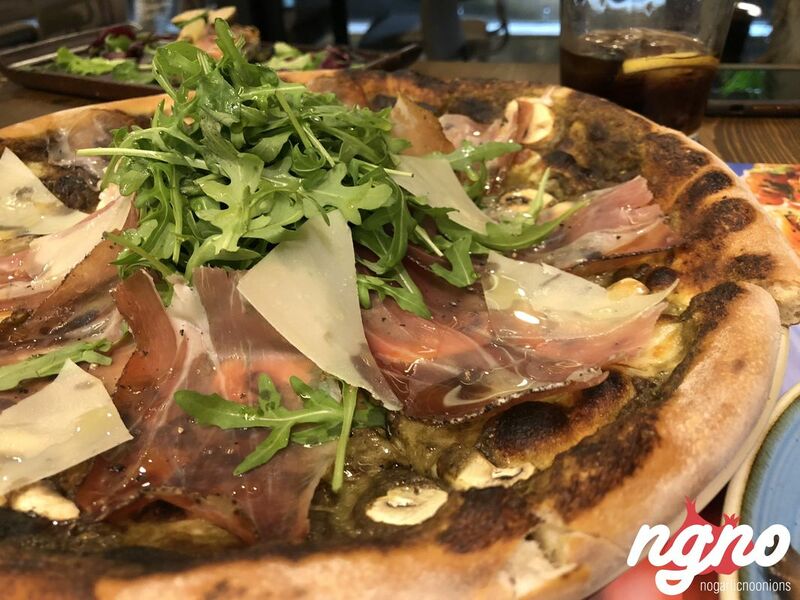 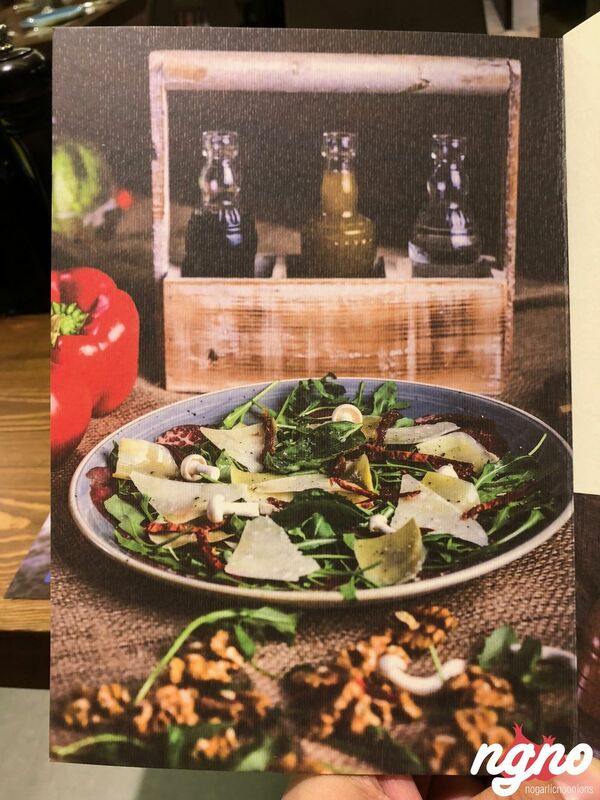 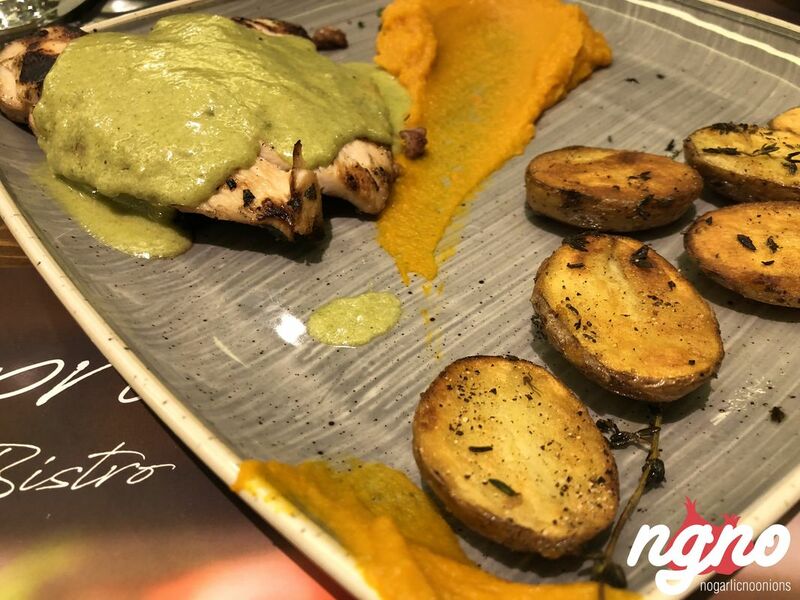 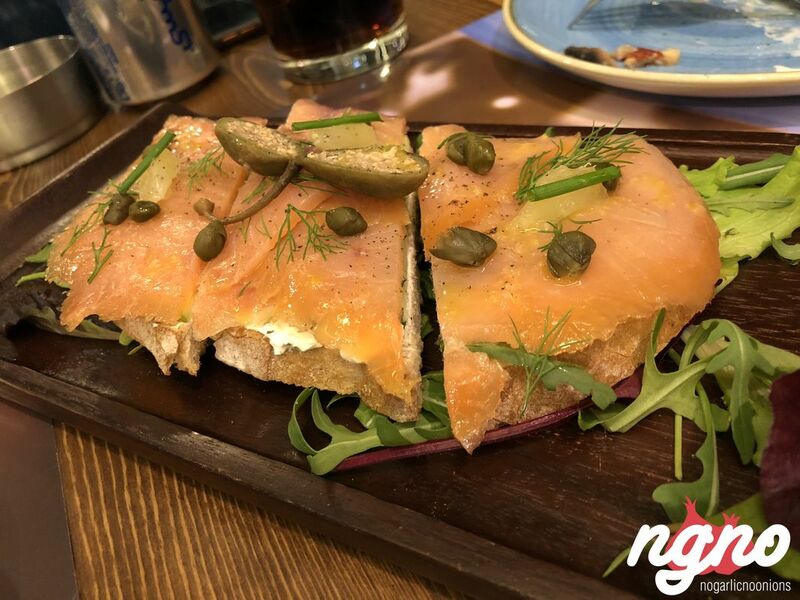 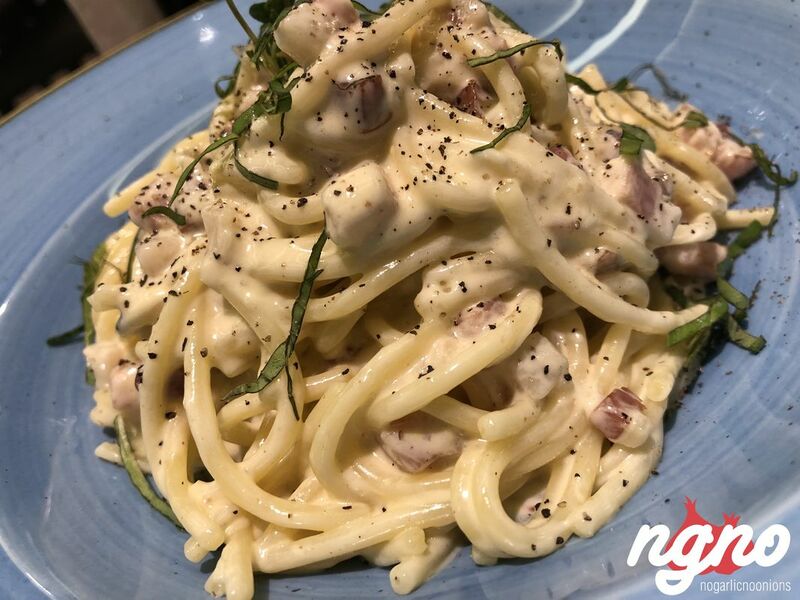 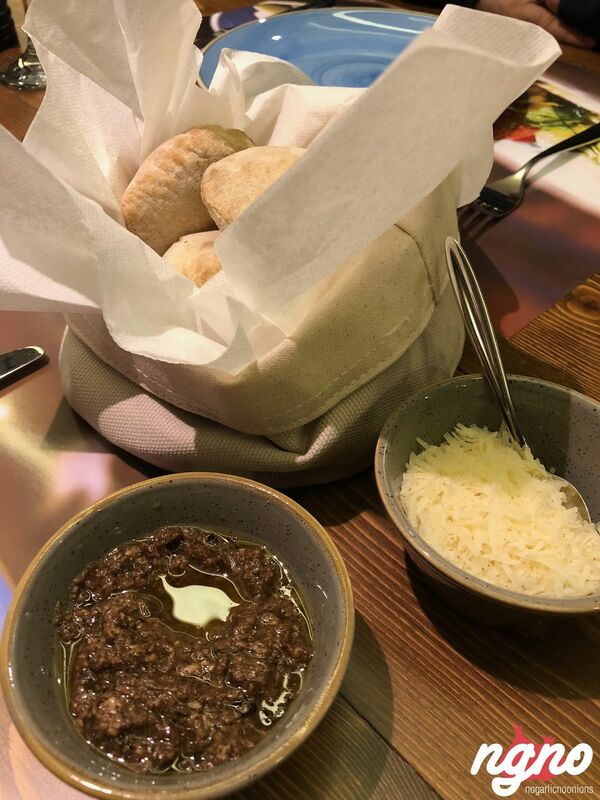 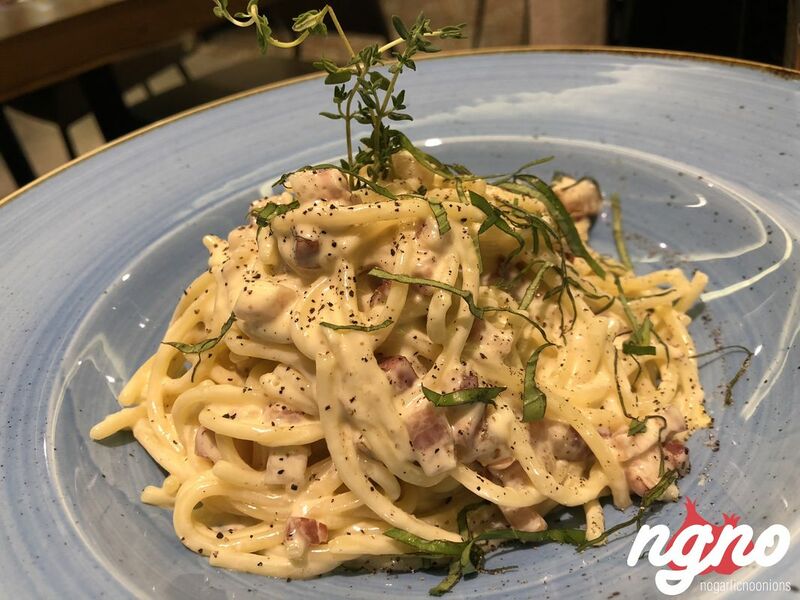 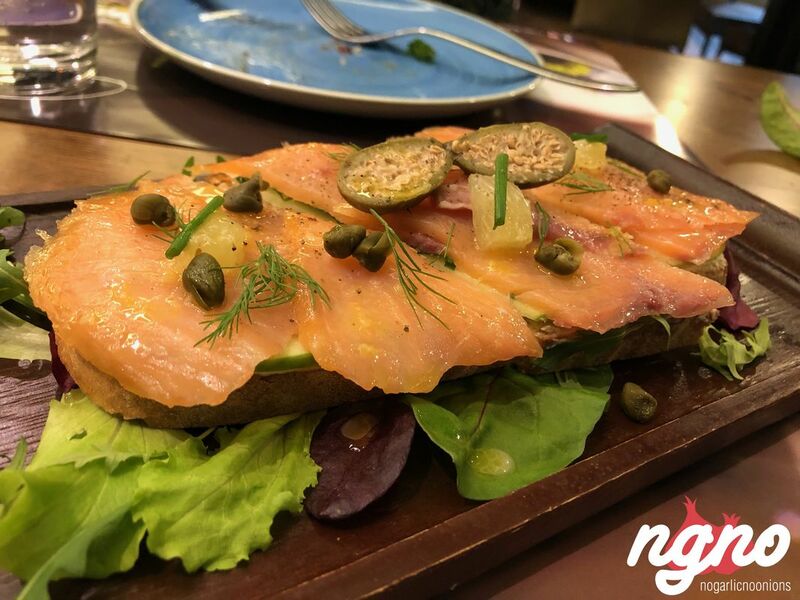 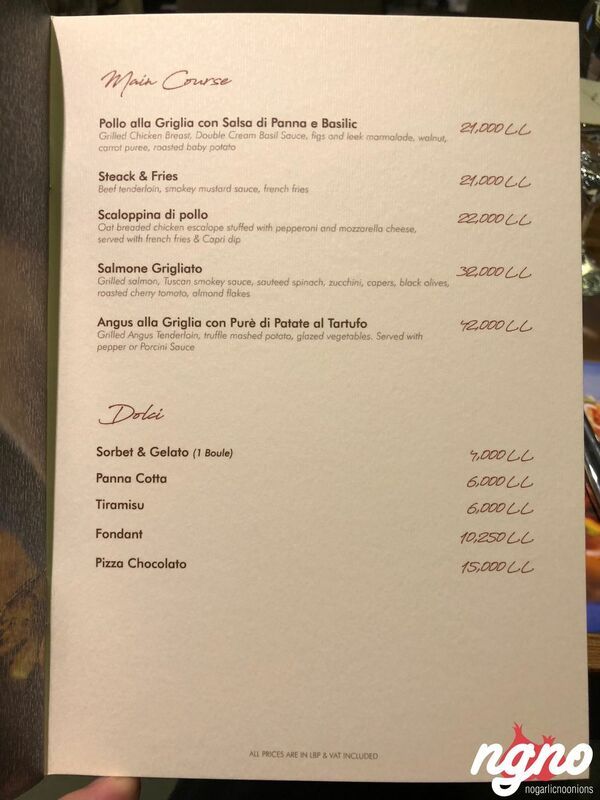 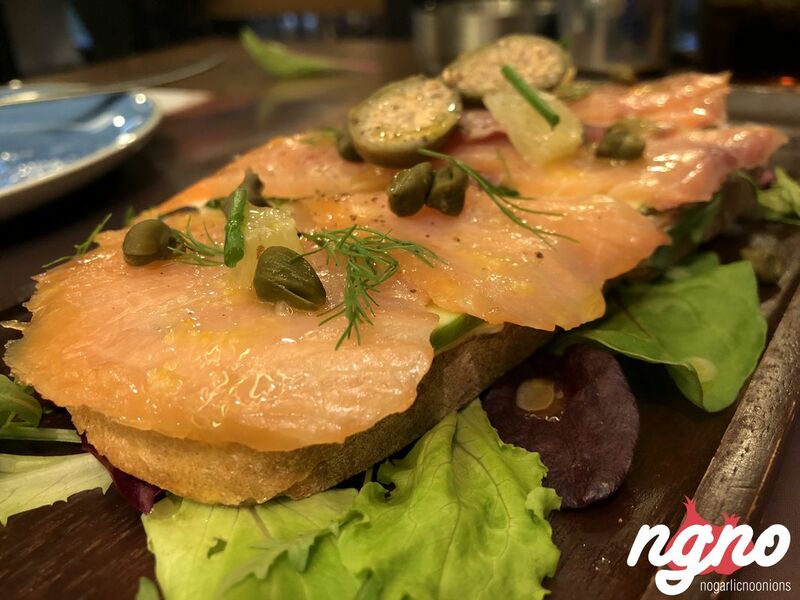 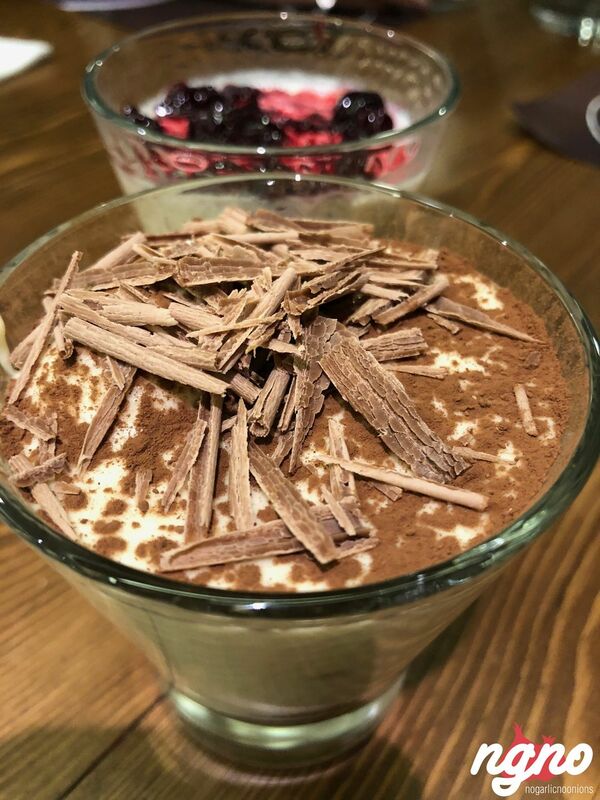 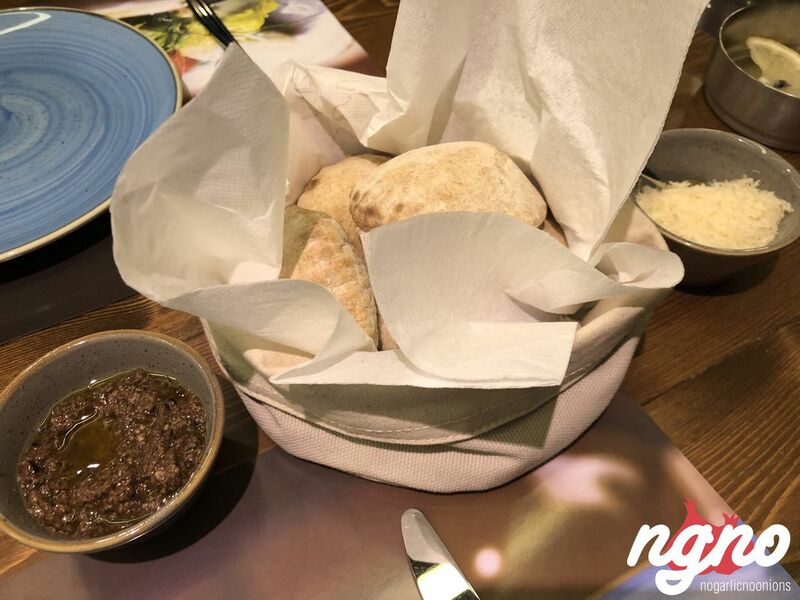 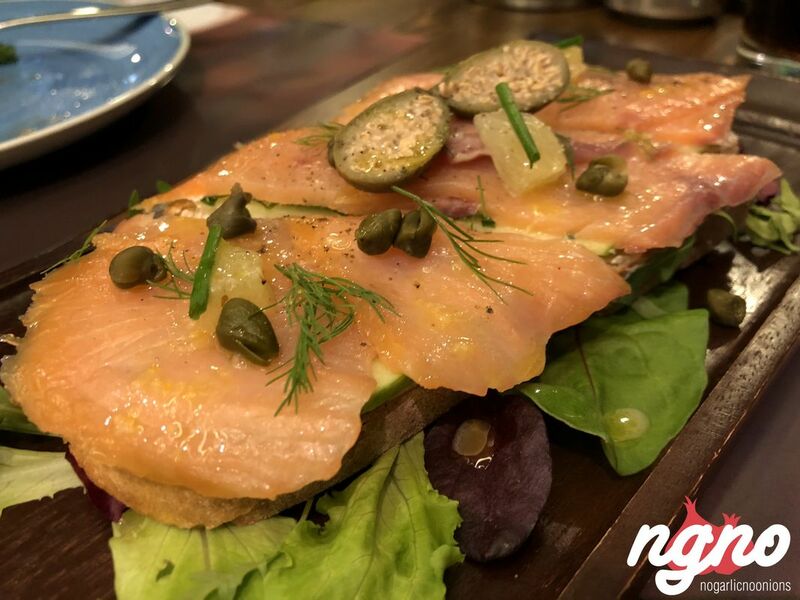 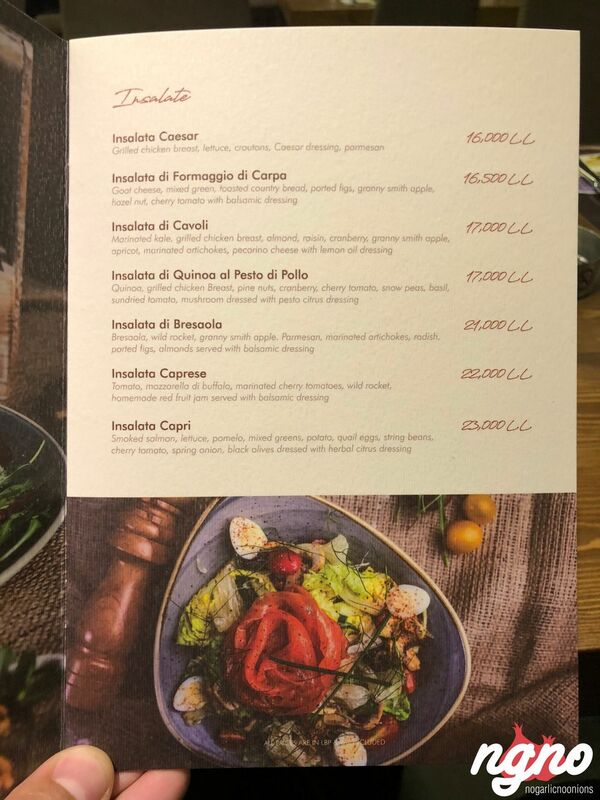 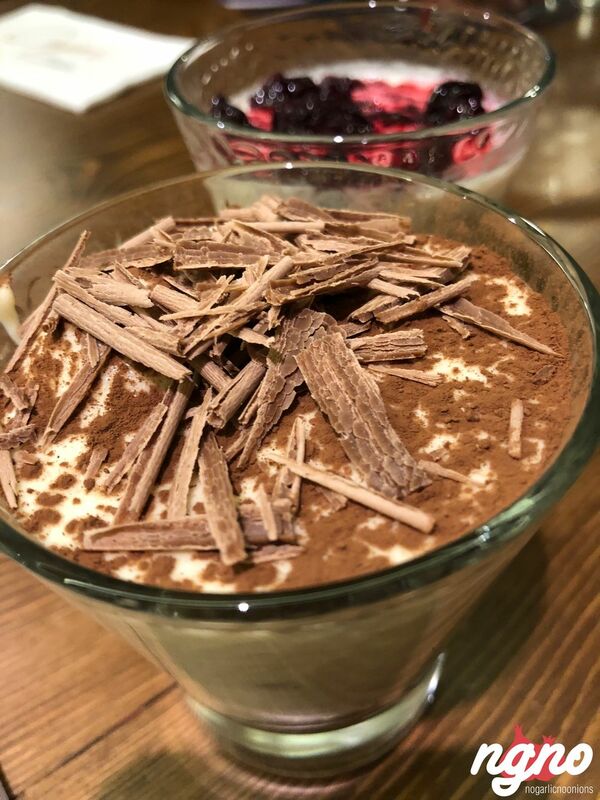 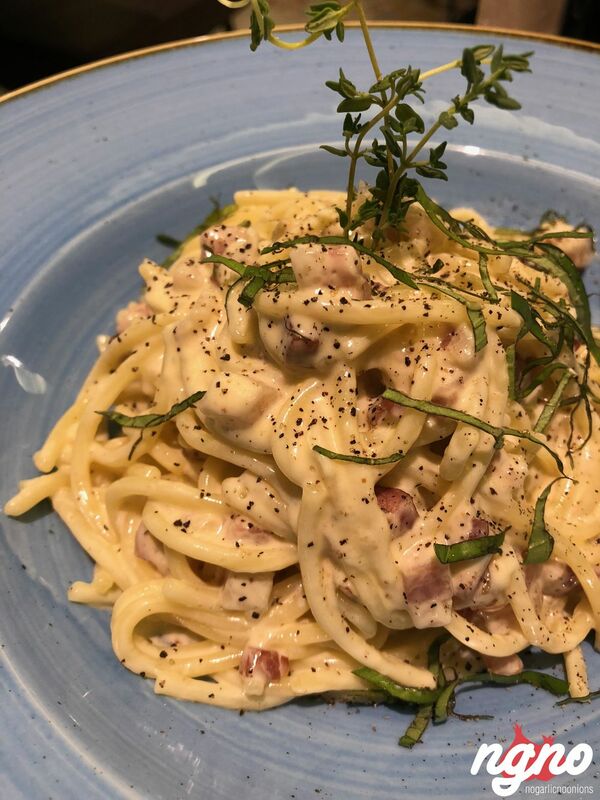 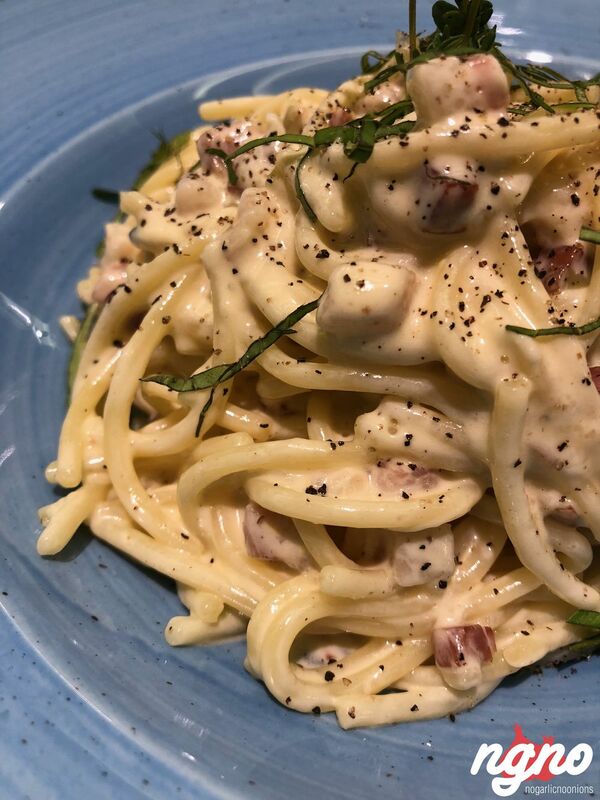 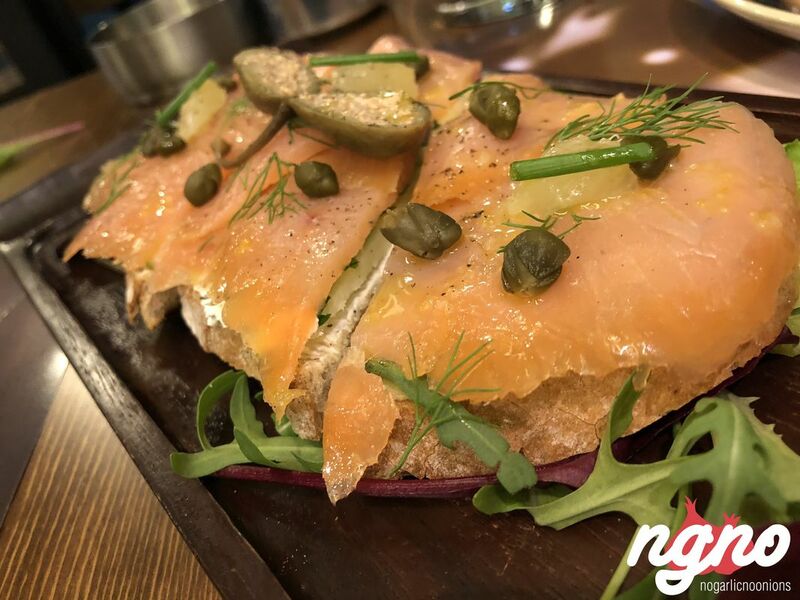 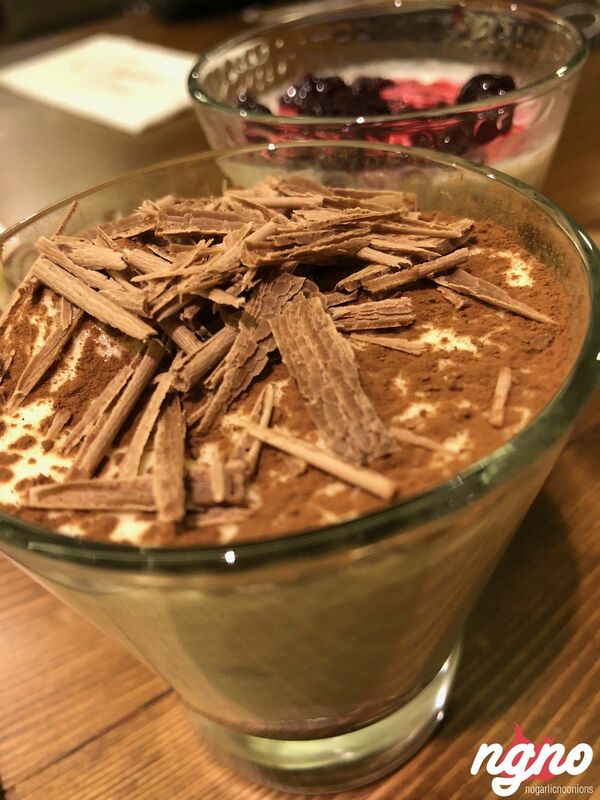 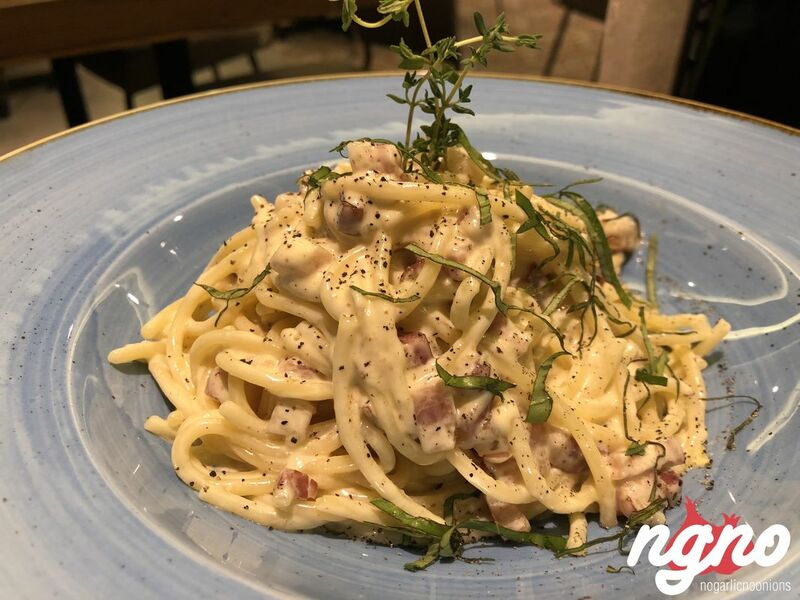 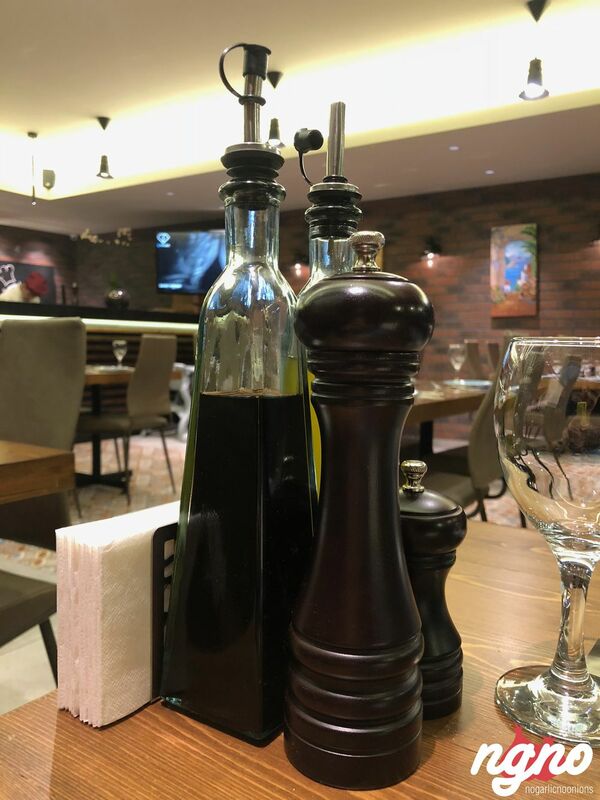 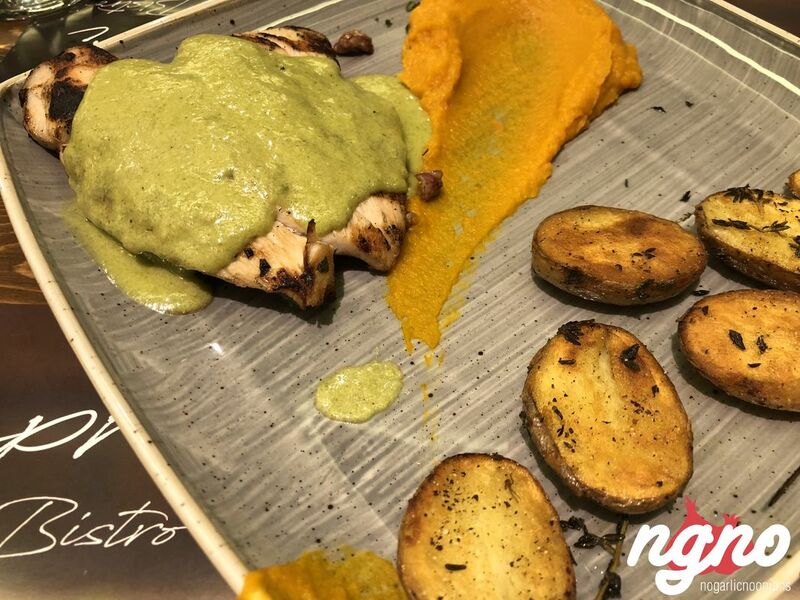 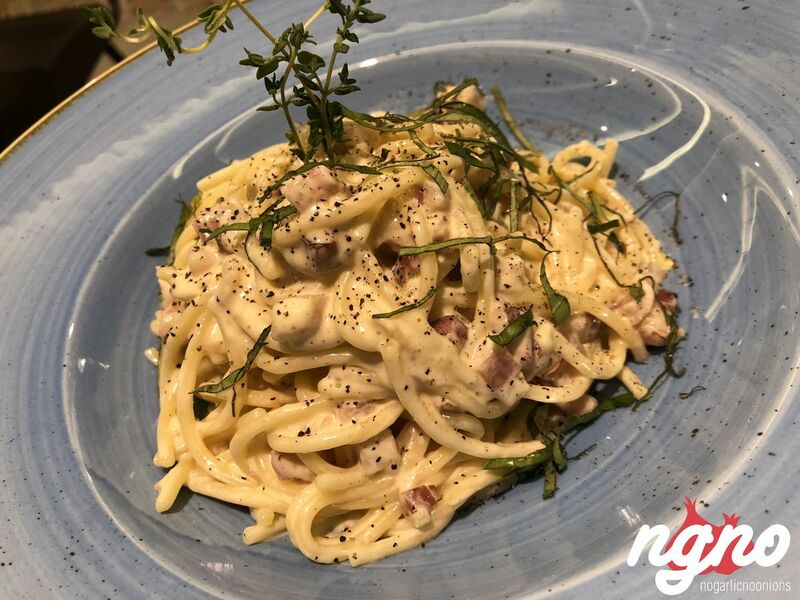 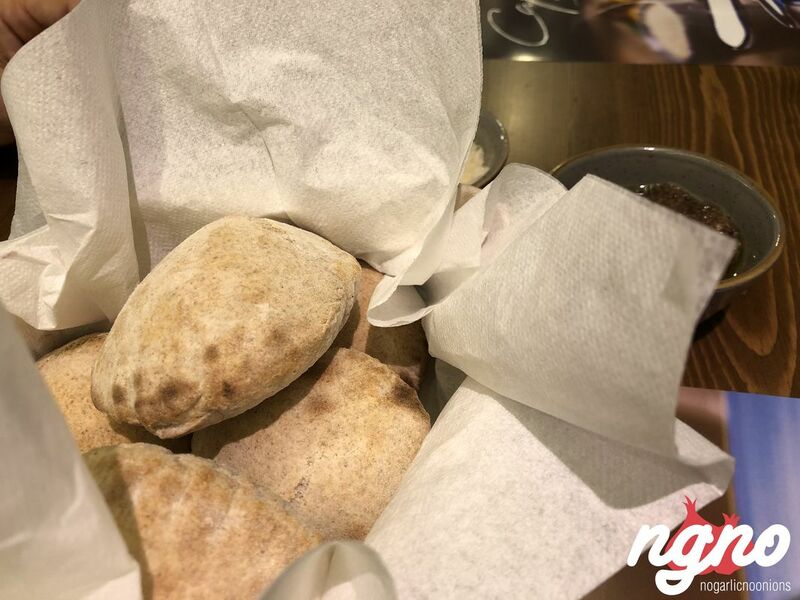 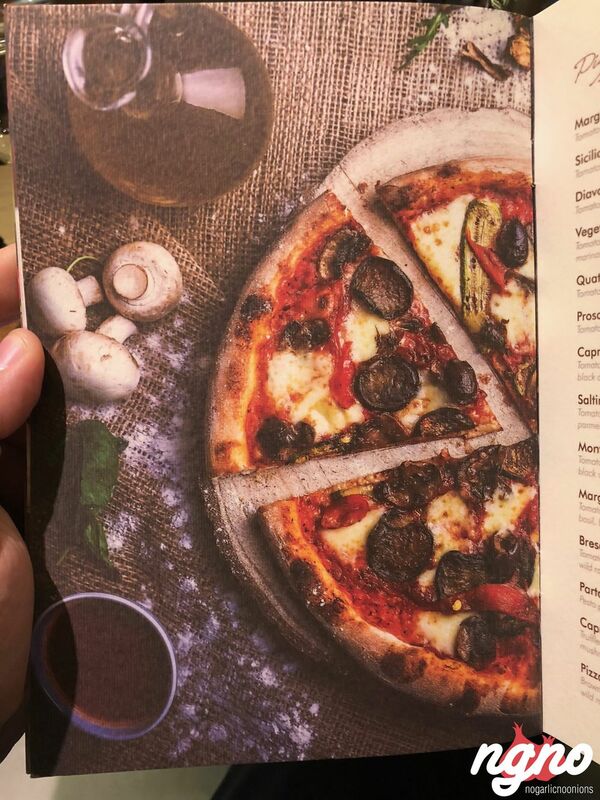 Located on the first floor over SAI, the bistro serves simple Italian cuisine in a cozy ambiance, making it a typical “Bistro de quartier” for the area. 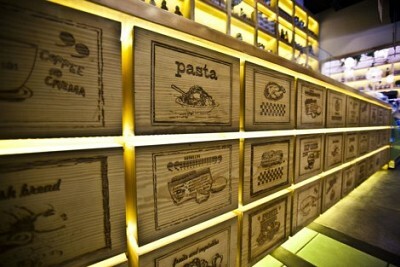 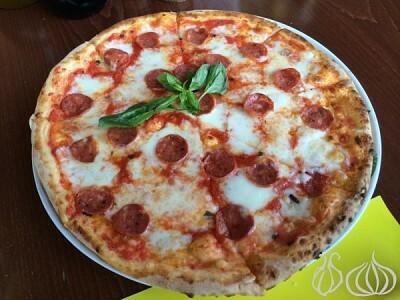 Pizza, Pasta and risotto, a simple Italian cuisine yet filled with passion and love. 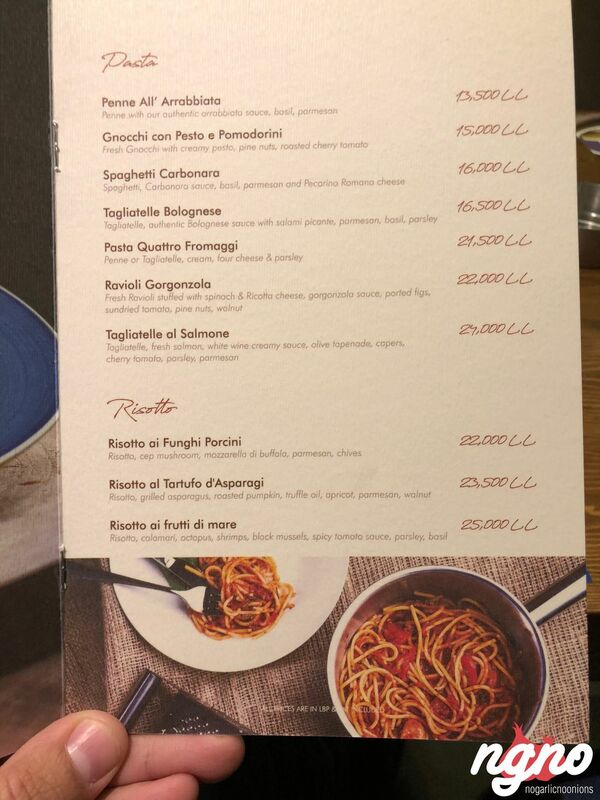 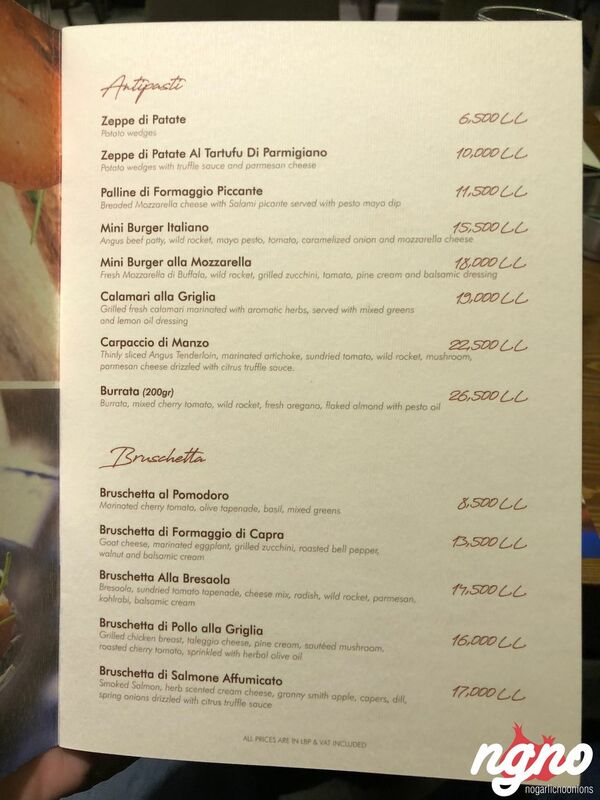 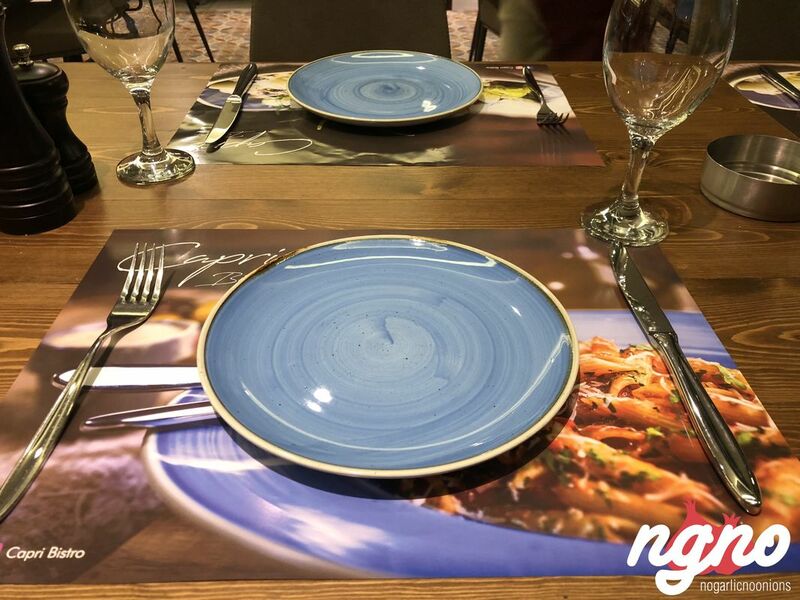 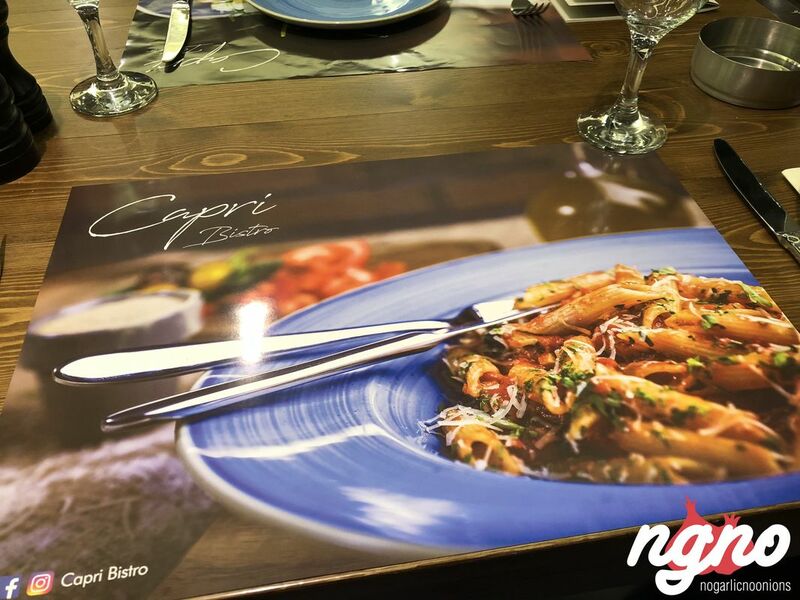 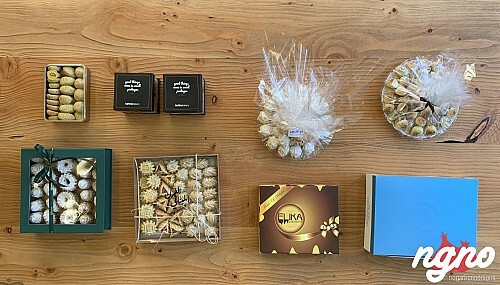 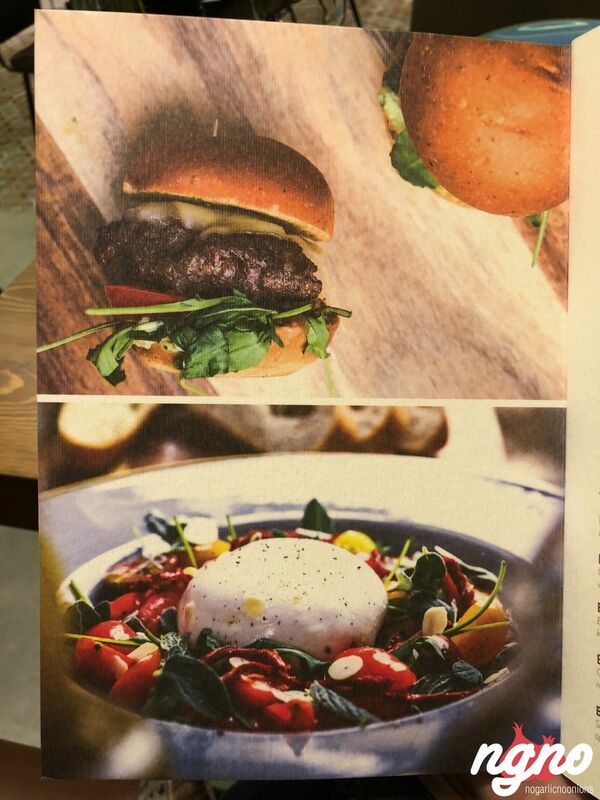 The first impression of the restaurant’s menu; I loved its photos making you want to order everything! 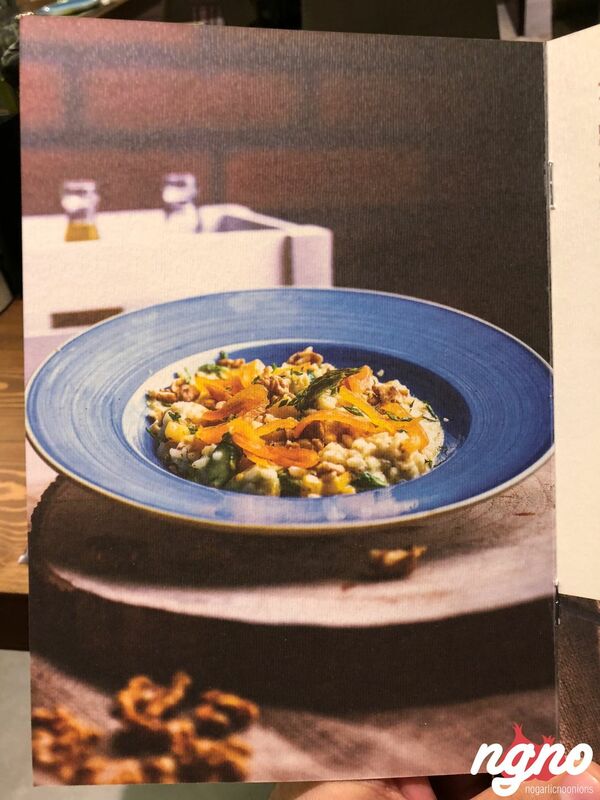 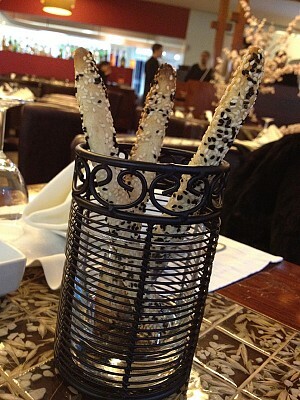 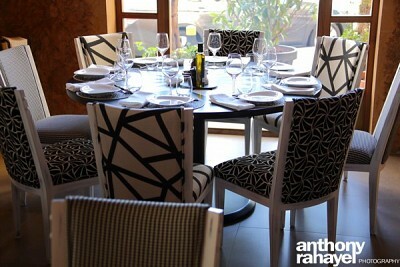 Regards to the photographer who managed to show the restaurant’s feel and what the owners tried to portray. 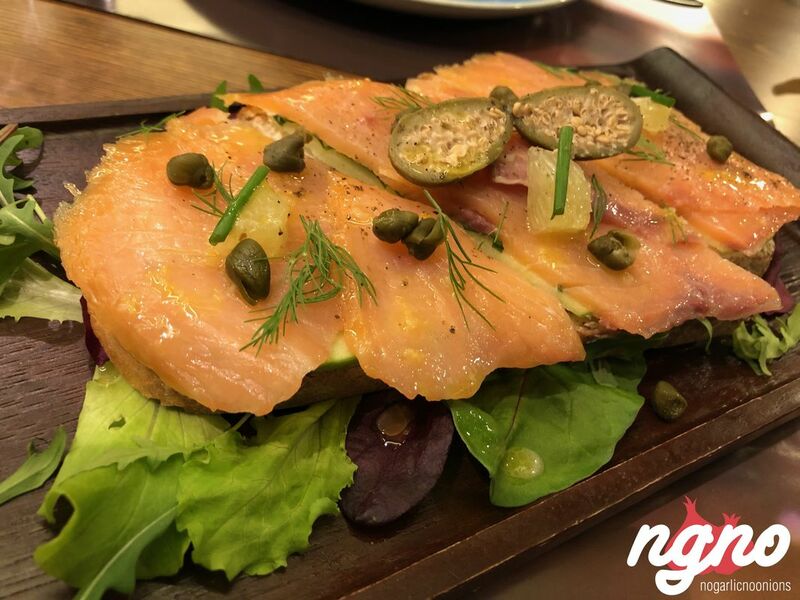 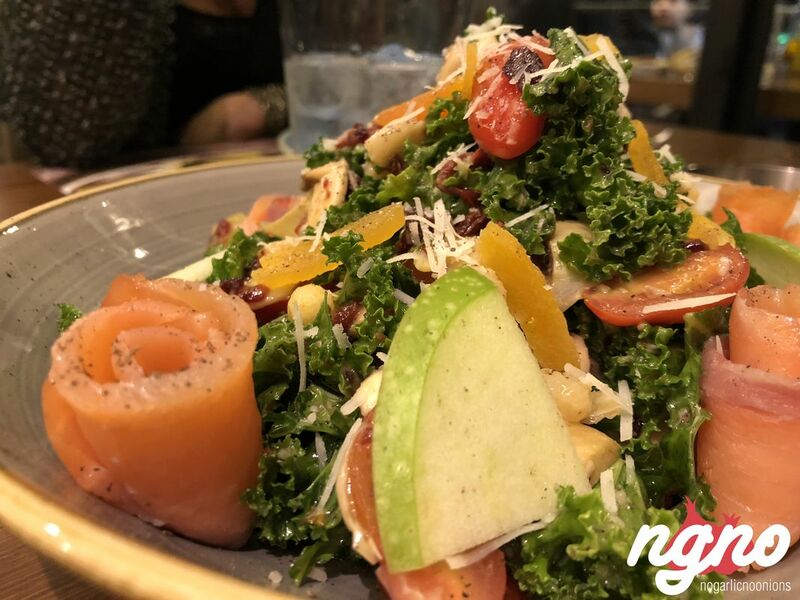 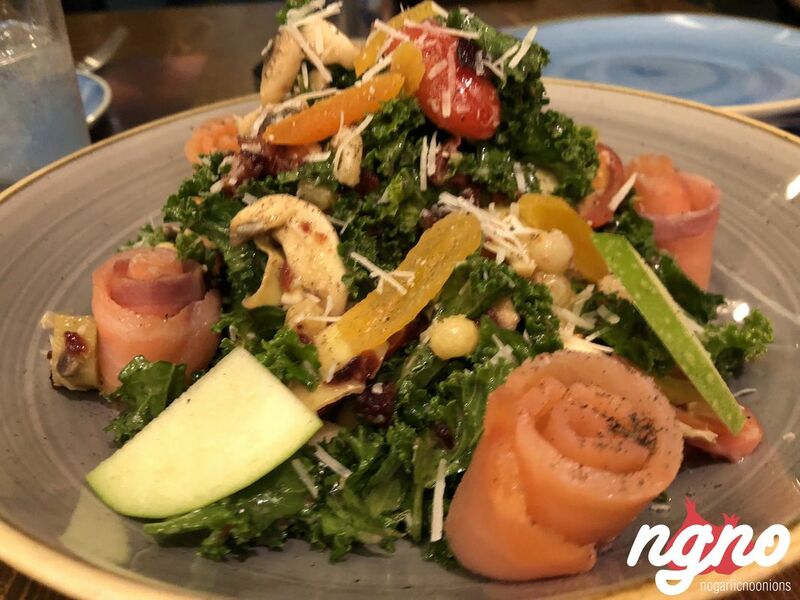 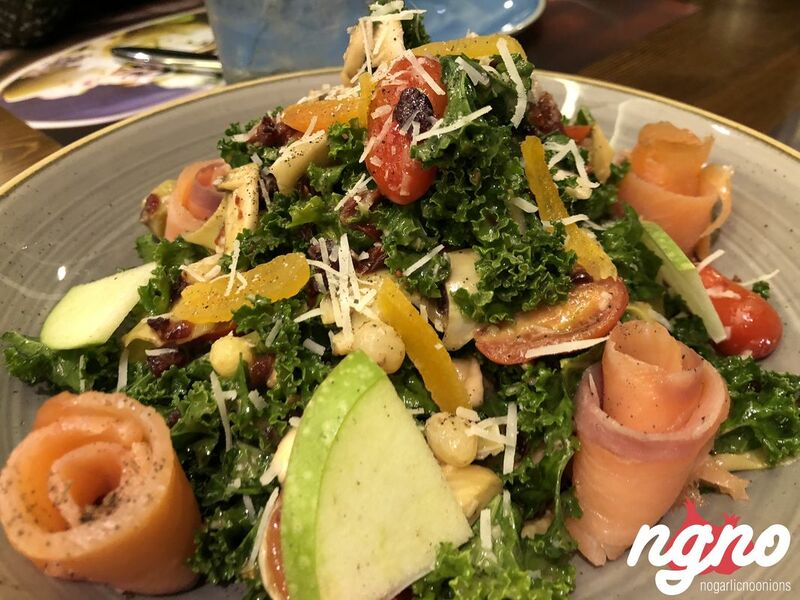 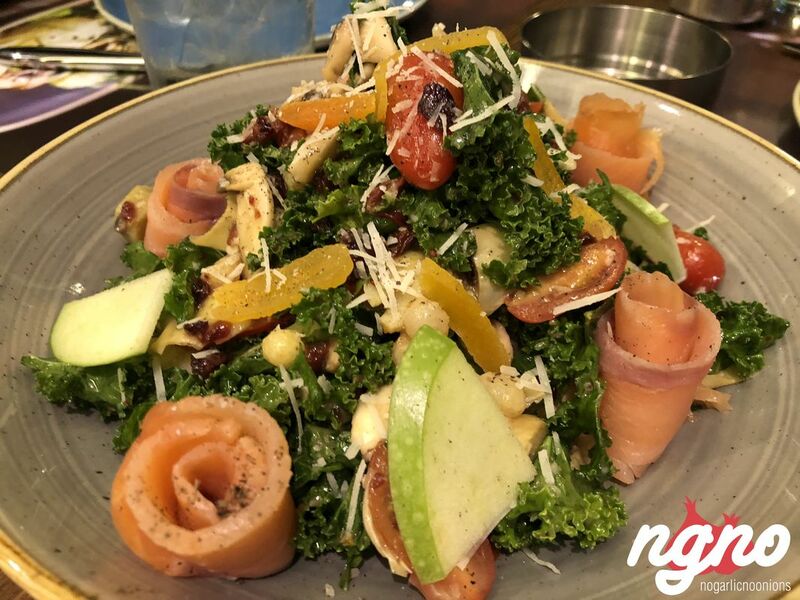 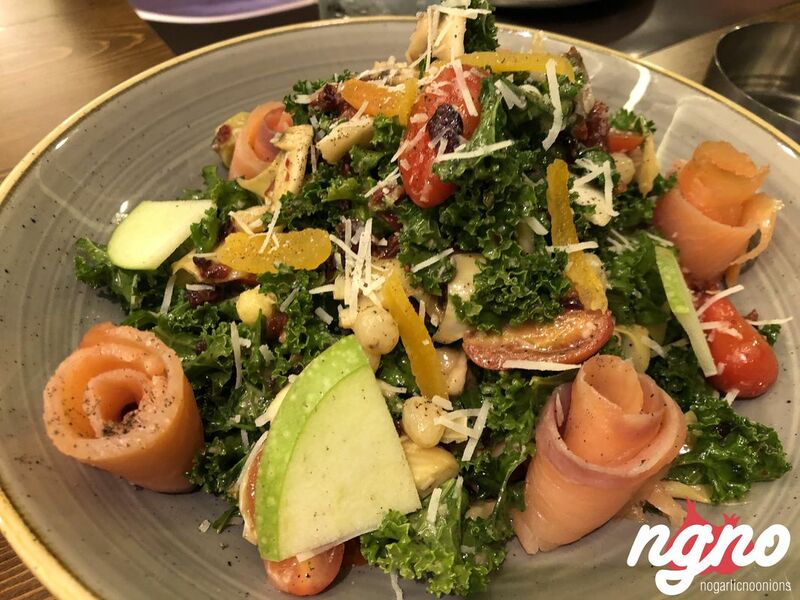 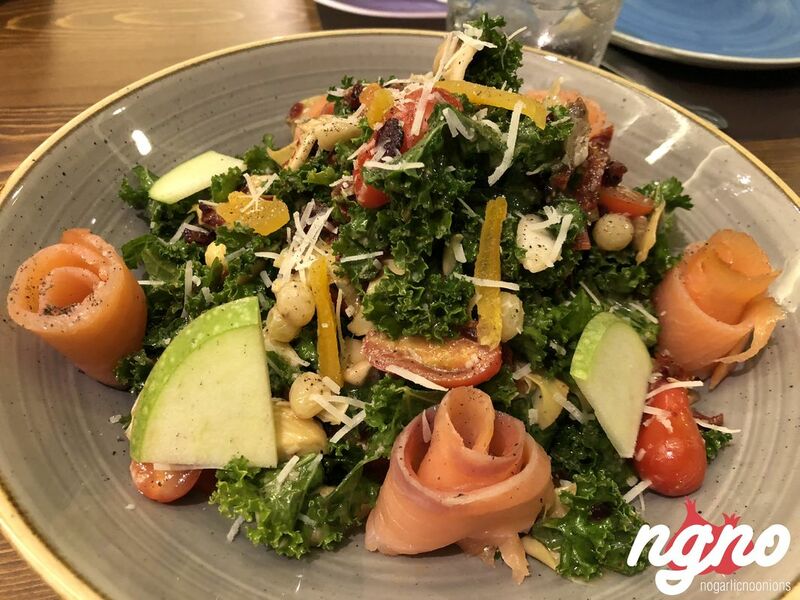 Start with the Capri salad: salmon, pomelo, lettuce, mixed greens, potato, quail eggs, string beans, cherry tomatoes, spring onions, black olives and herbal citrus dressing. 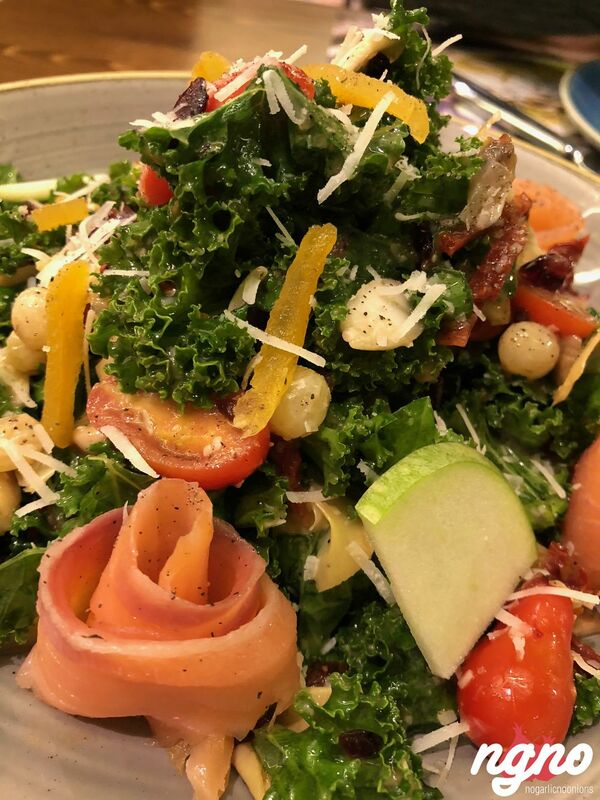 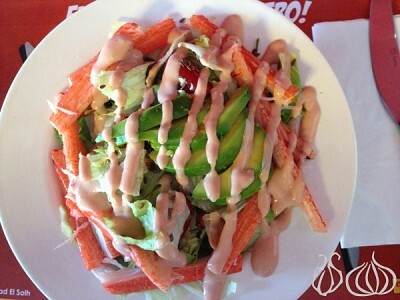 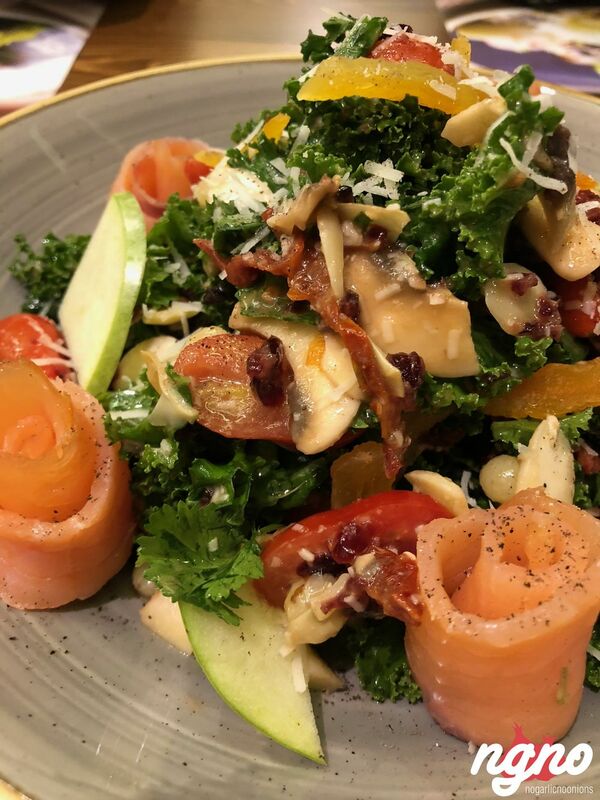 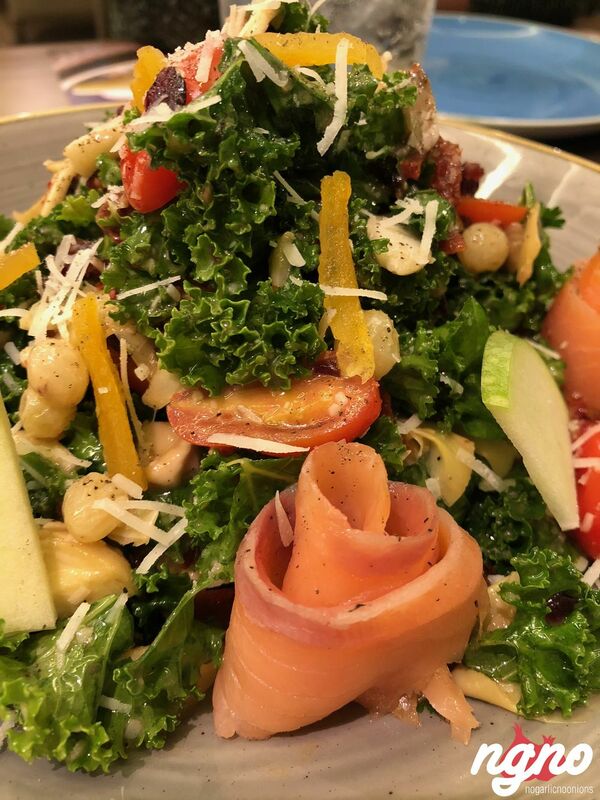 A rich salad loaded with ingredients and enjoyable textures combining flavors from land and sea. 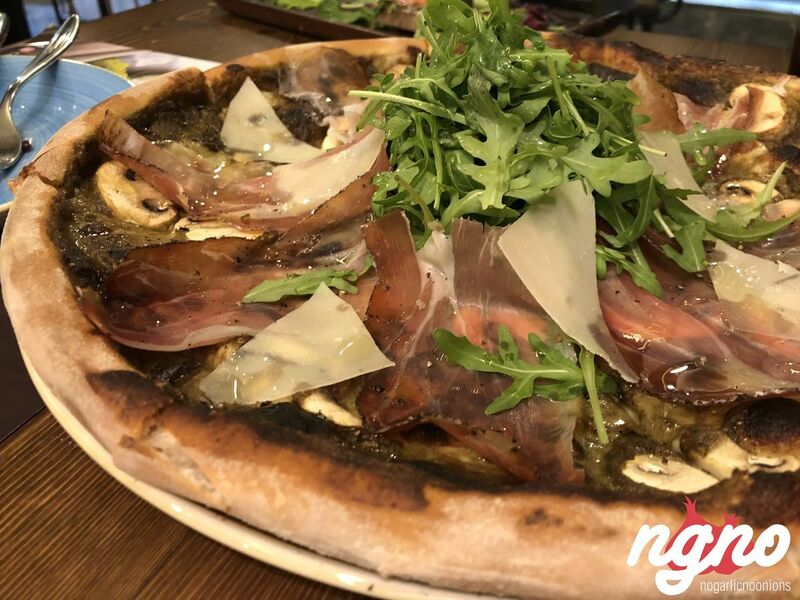 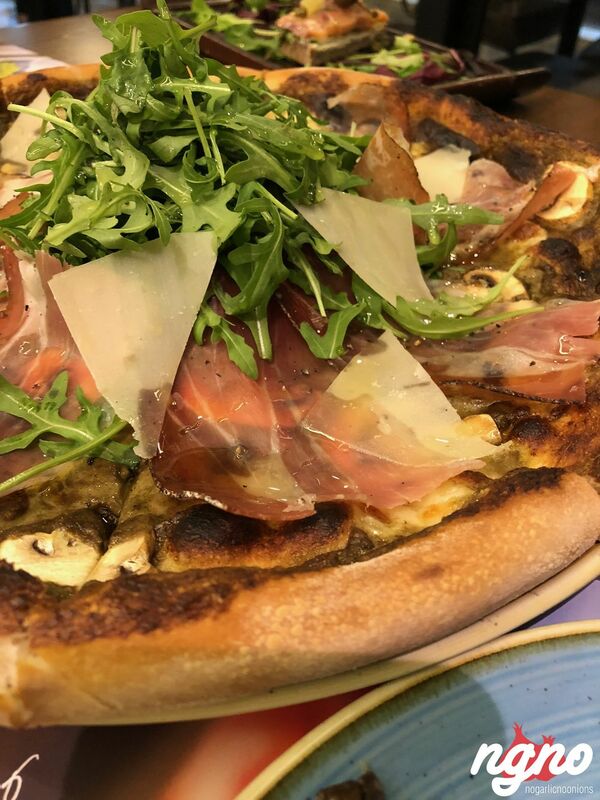 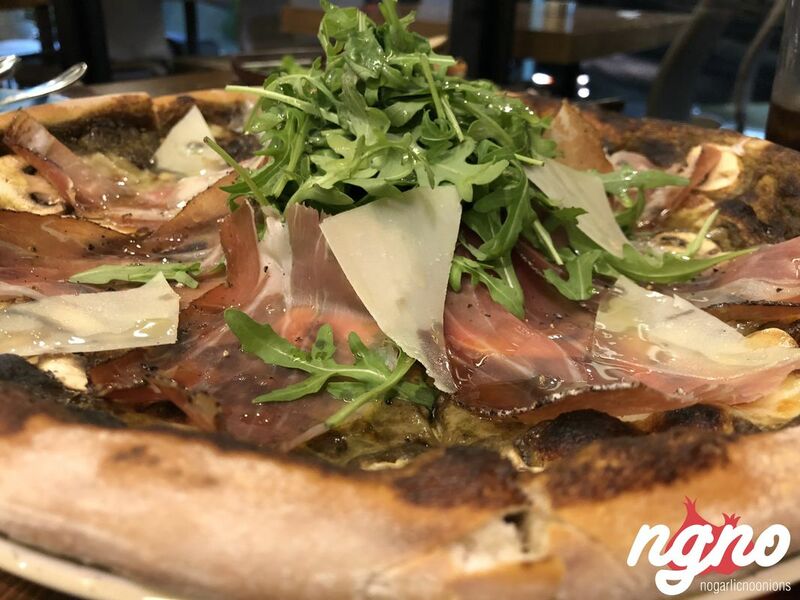 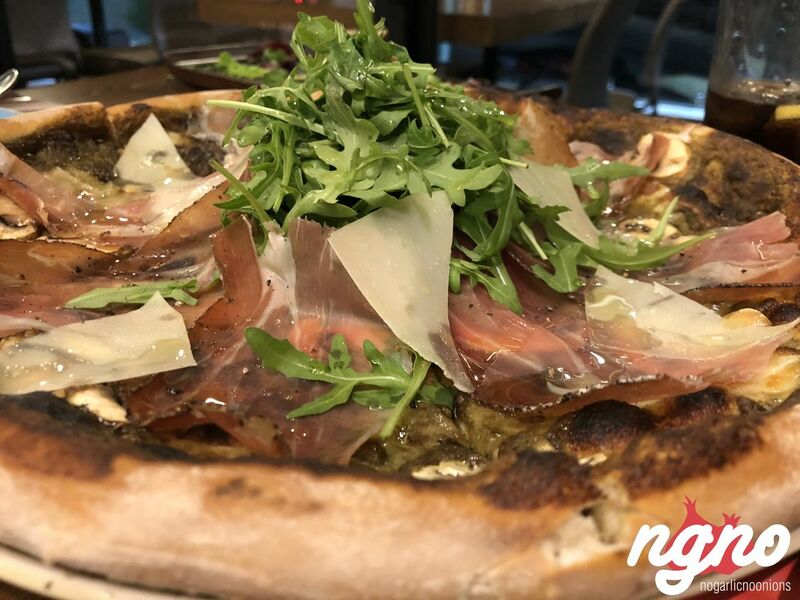 Have a pizza: Capri Tartunzola, loaded with truffle cream cheese, Gorgonzola, wild rocket, pecorino, parmesan, sautéed cep mushrooms and truffle oil. 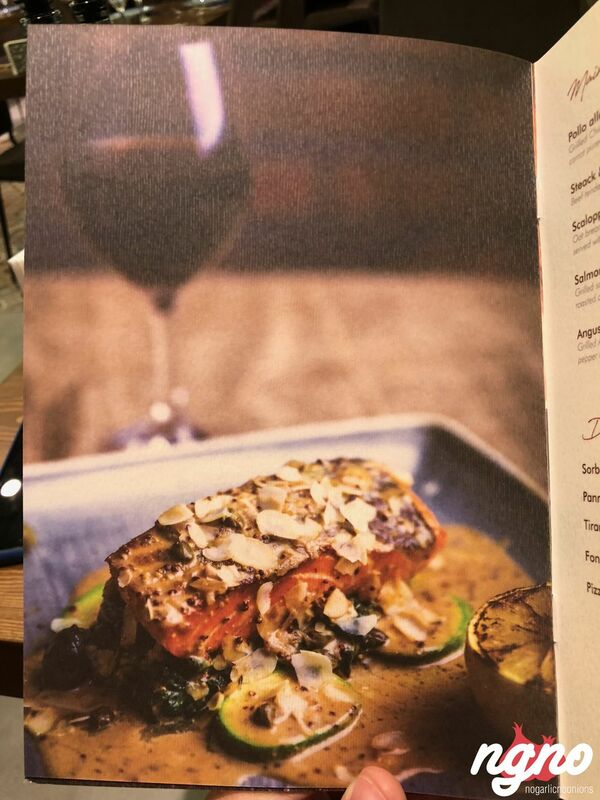 It is heavy, and you have to expect this considering the ingredients but tasty enough to forget to guilt. 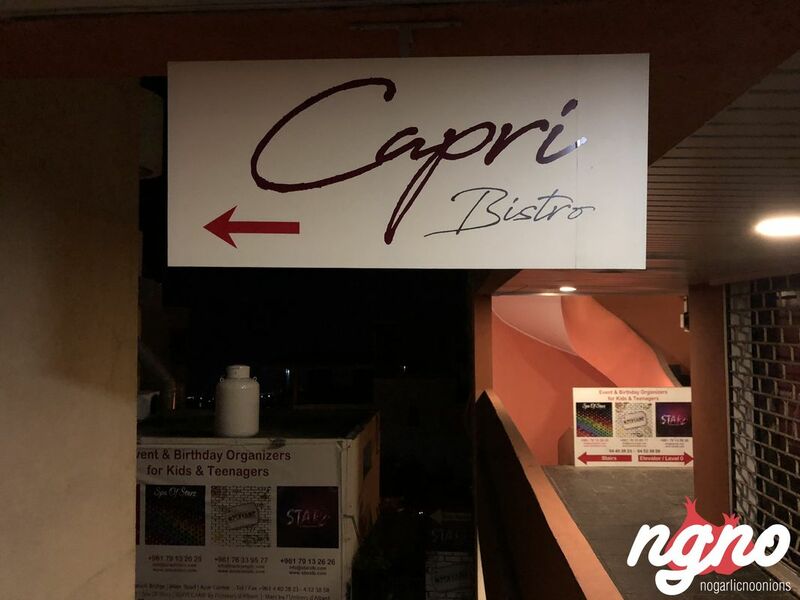 A thin crust, a thick and soft border, a blend of textured and flavors; Capri has a good pizza I’ll recommend to my friends. 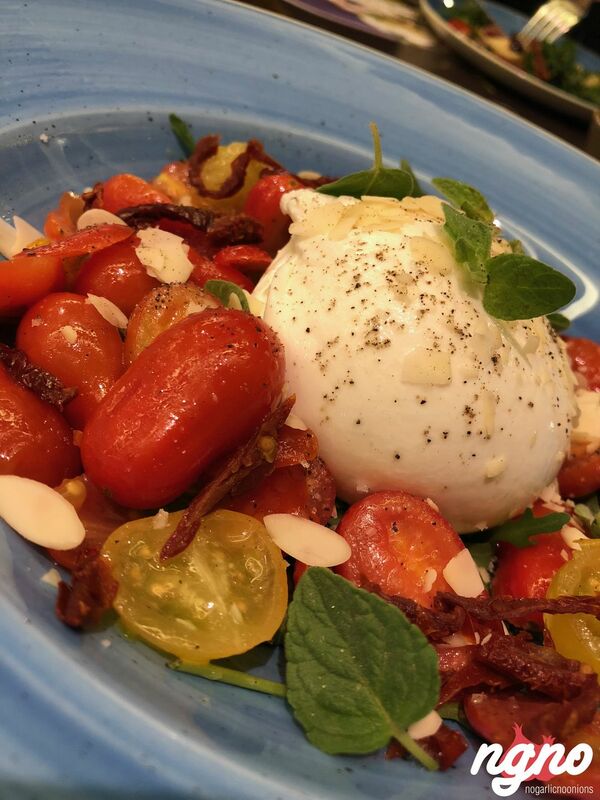 The burrata, soft and creamy is better enjoyed without its garlic pesto oil. 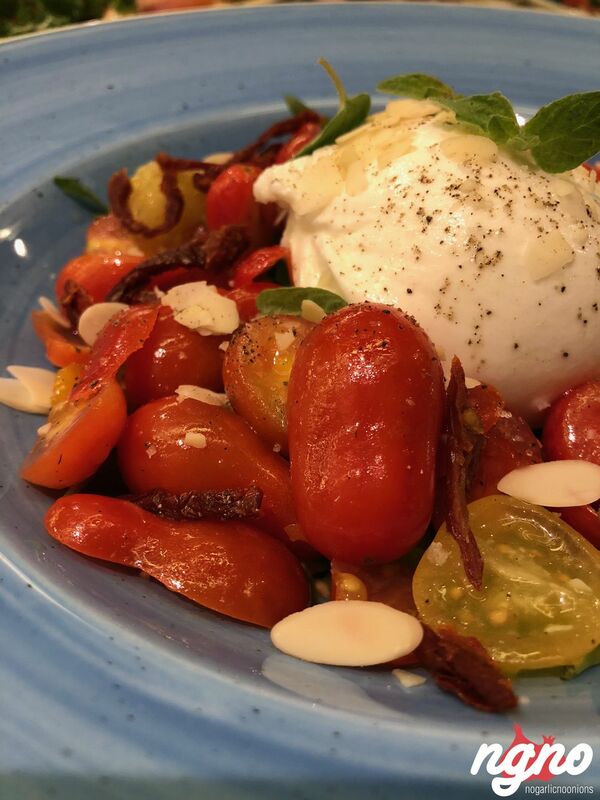 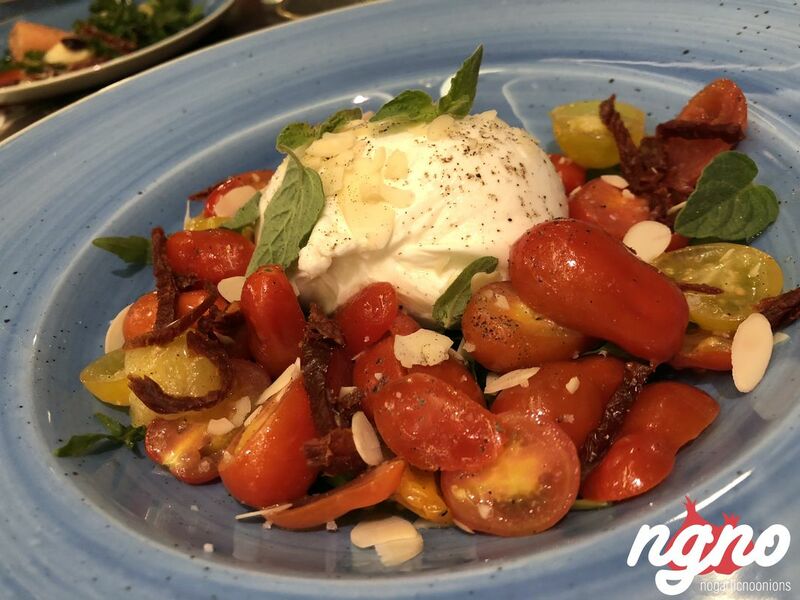 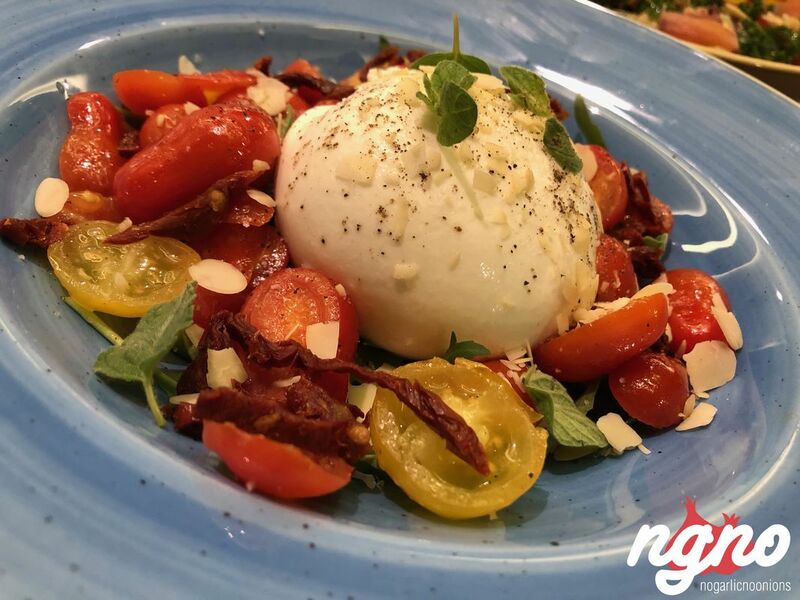 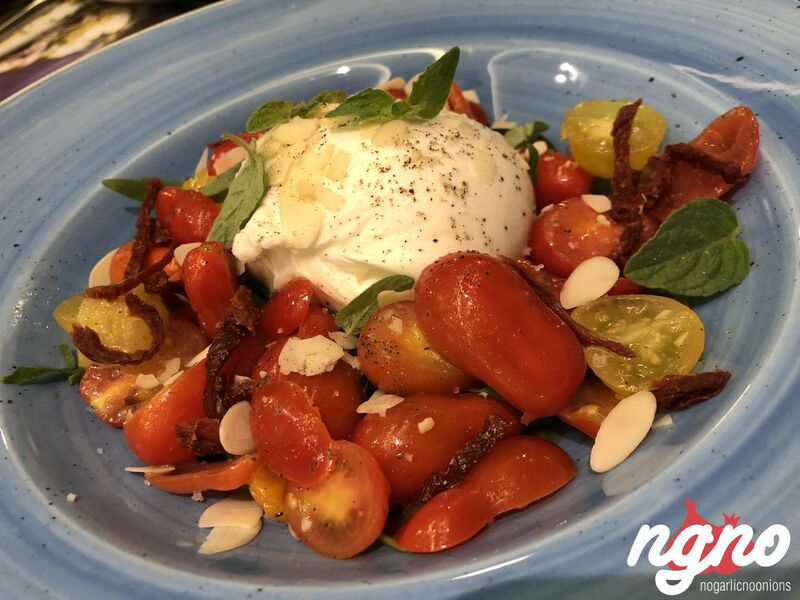 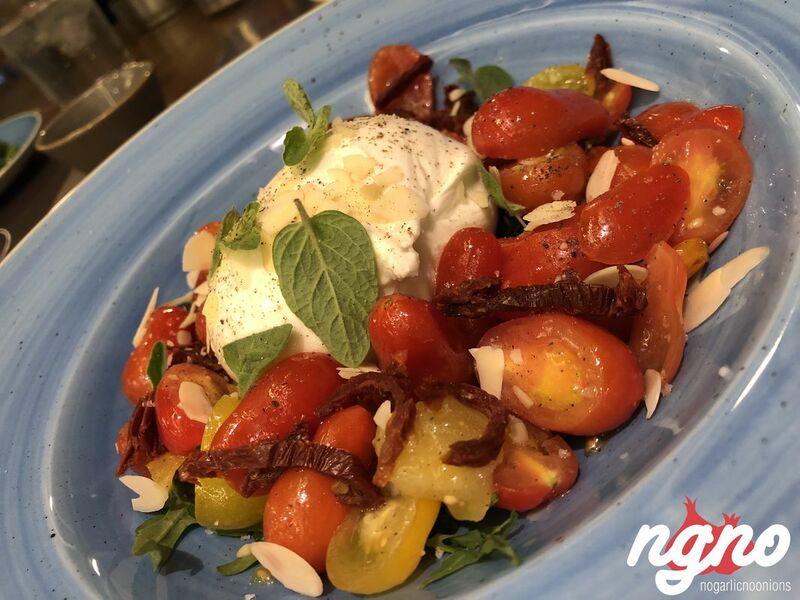 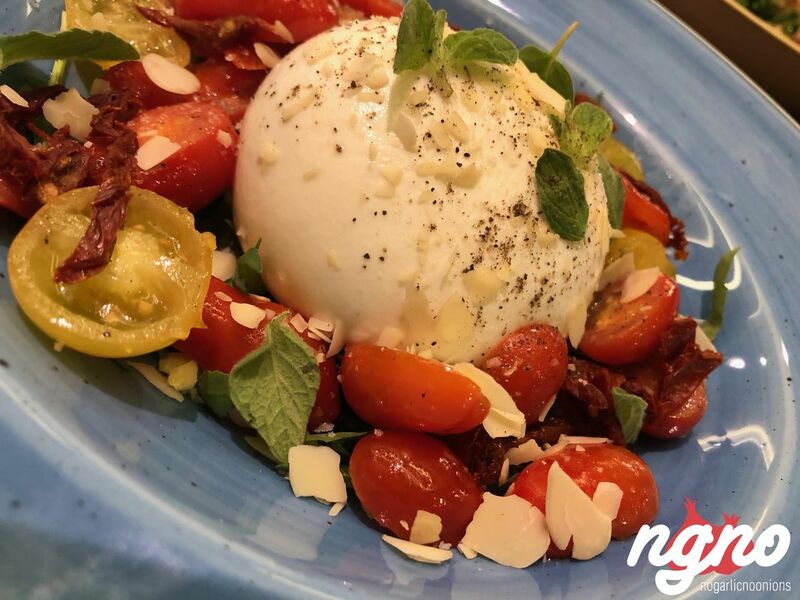 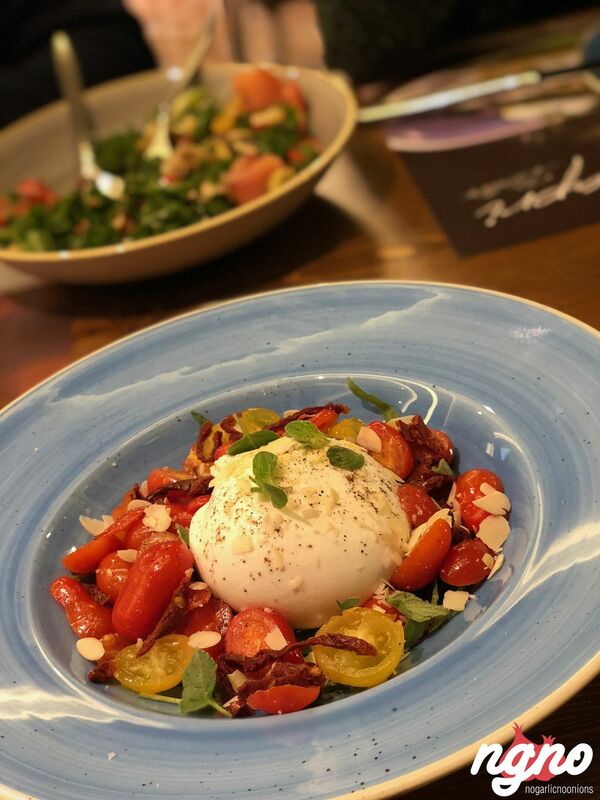 Drizzle a bit of olive oil, a sprinkle of pepper, and you’re ready to enjoy this delicious burrata served with mixed cherry tomatoes, sundried tomatoes, and crunchy flakes almonds. 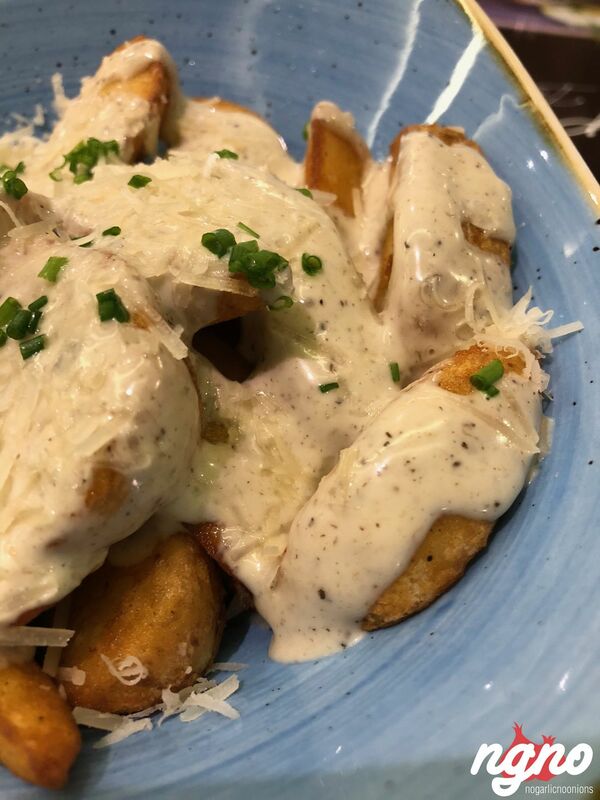 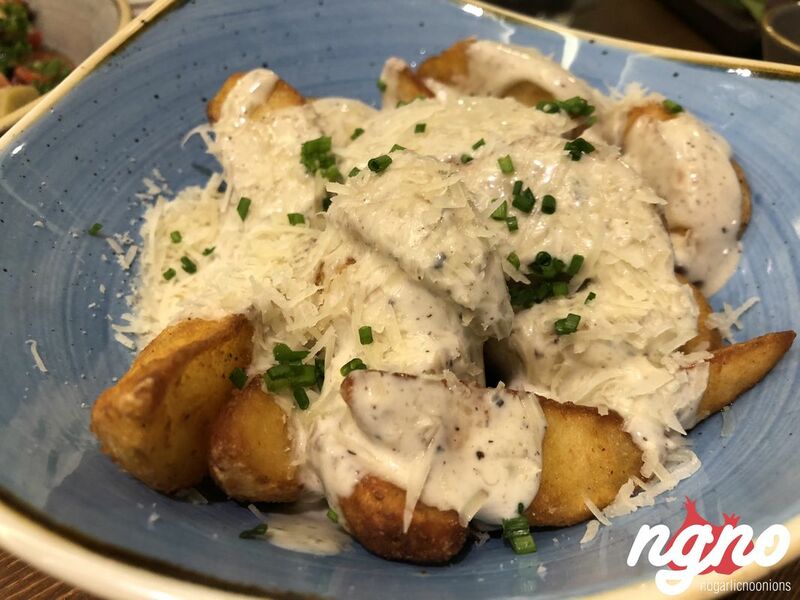 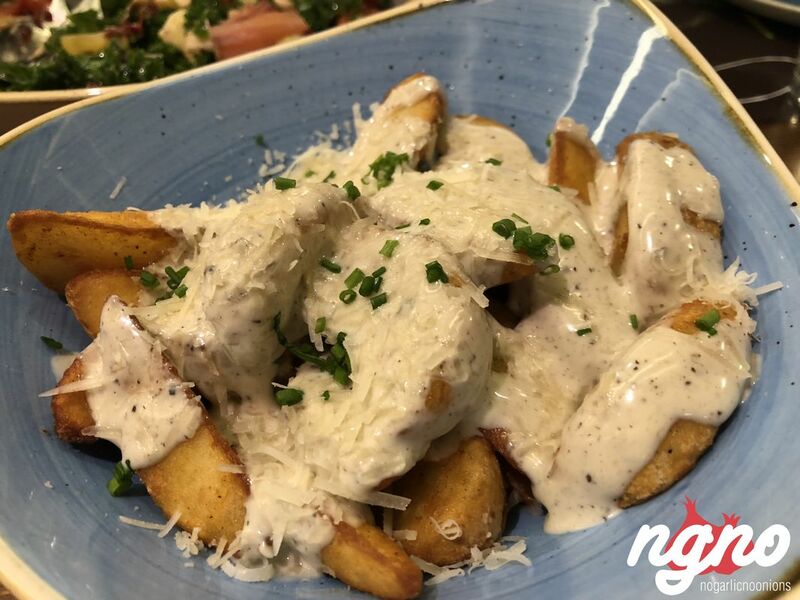 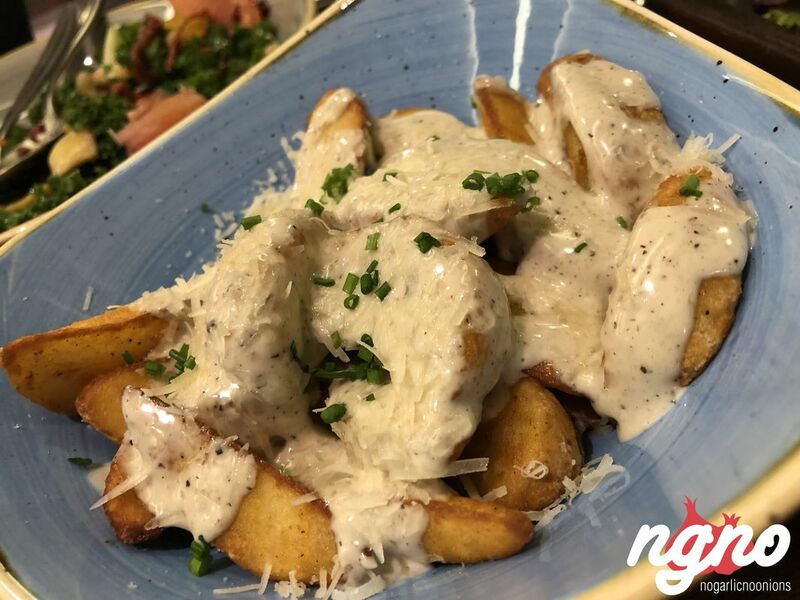 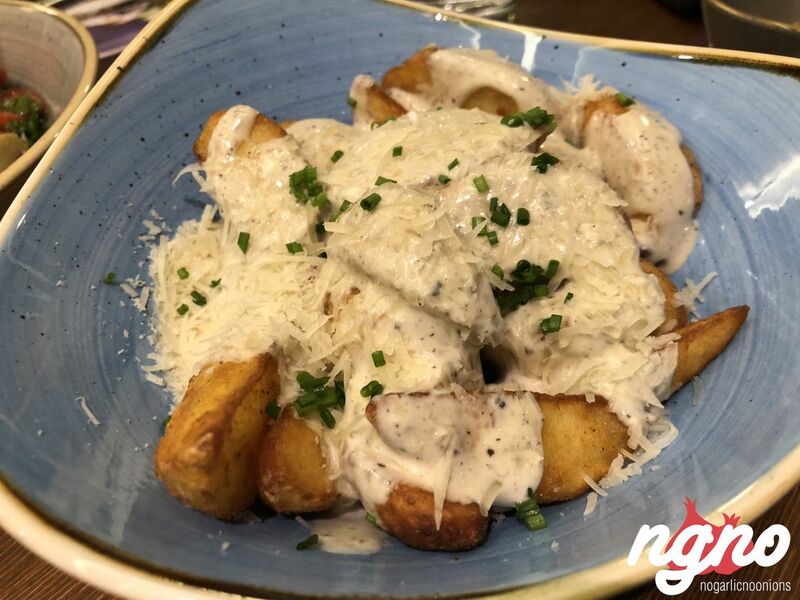 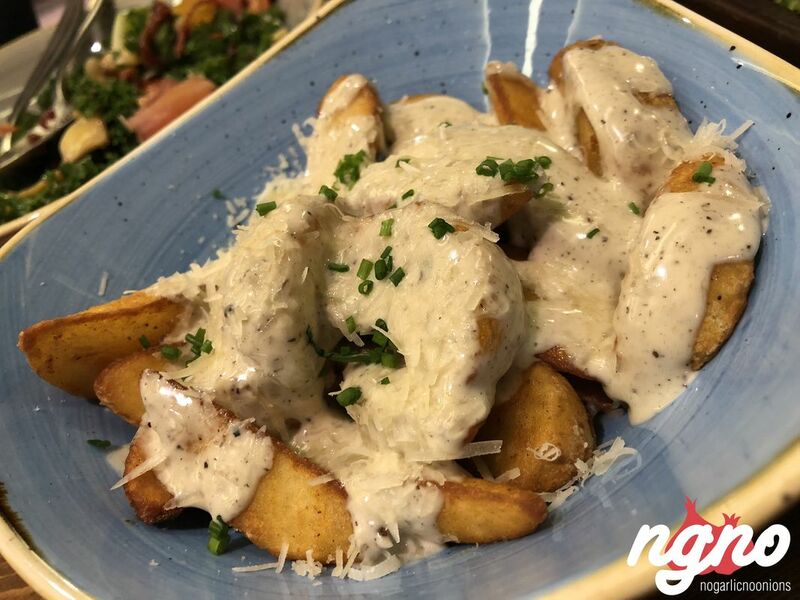 Never imagined enjoying potato wedges that much: adequately fried potato wedges covered with a creamy truffle sauce and parmesan cheese. 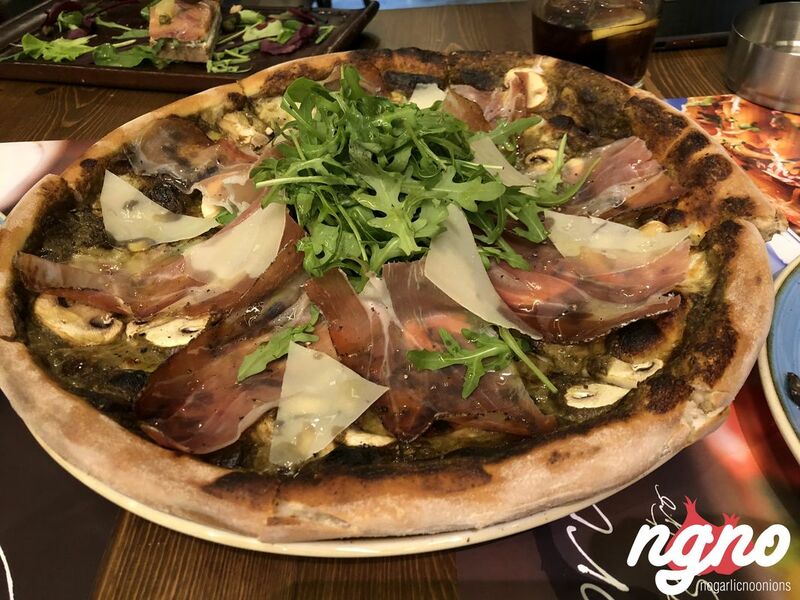 Two thumbs up! 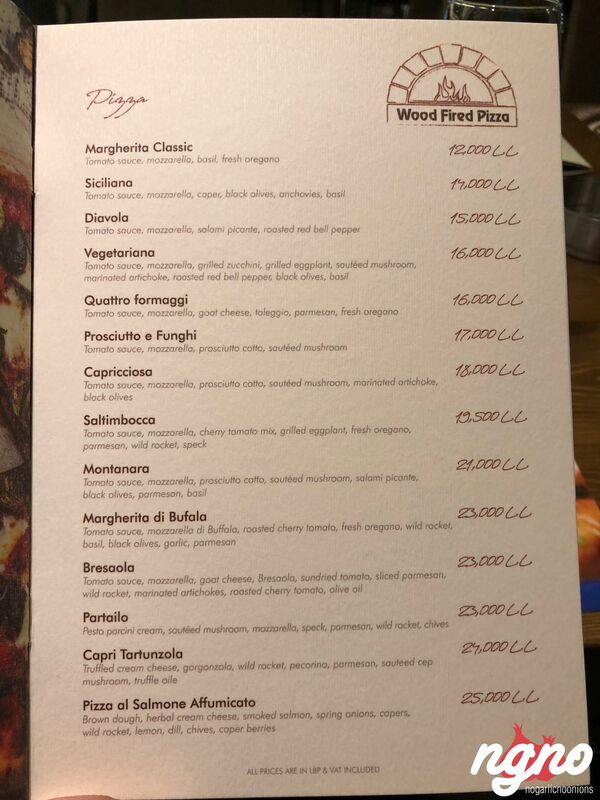 This is good, really good. 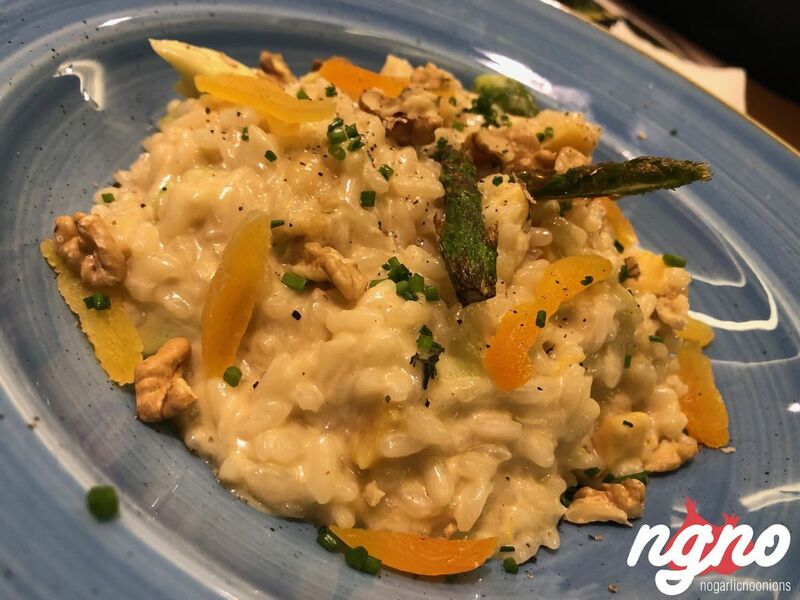 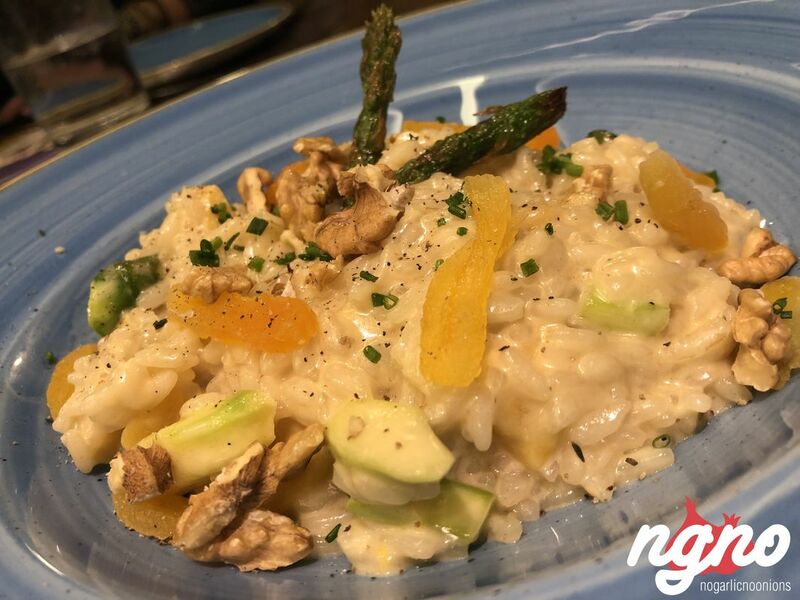 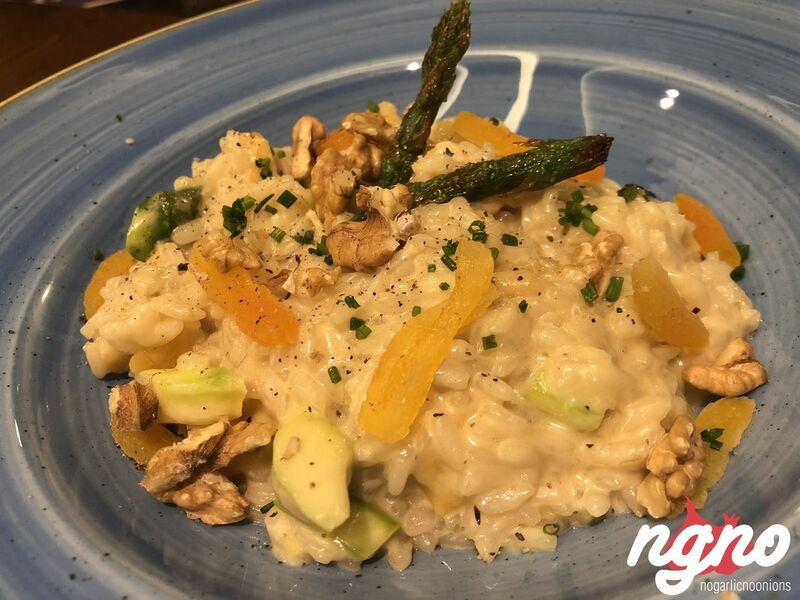 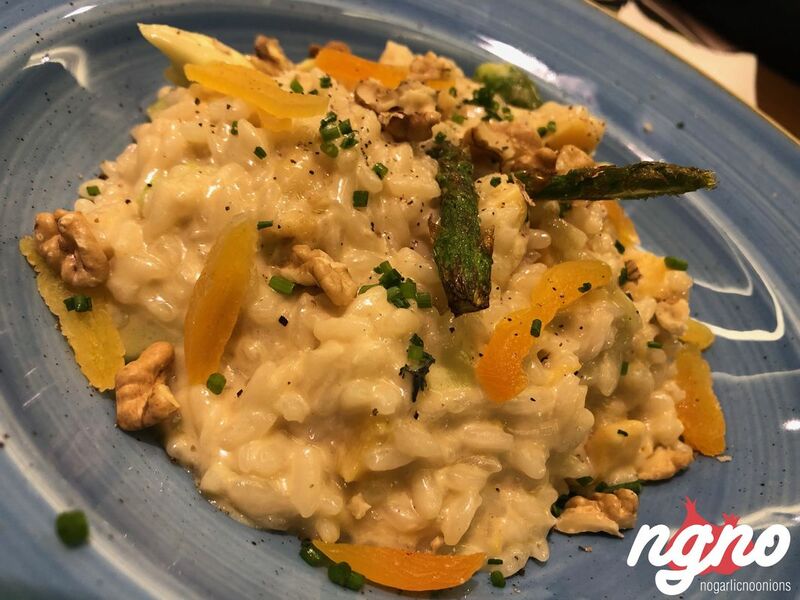 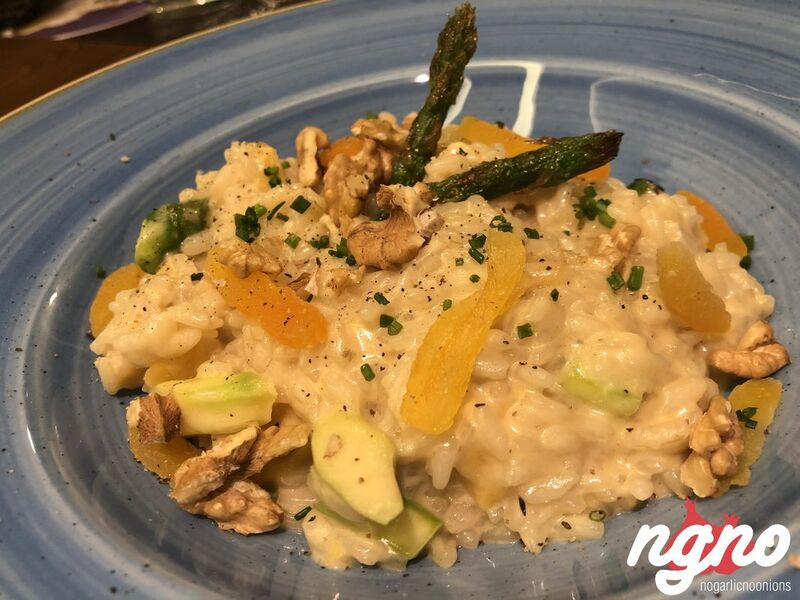 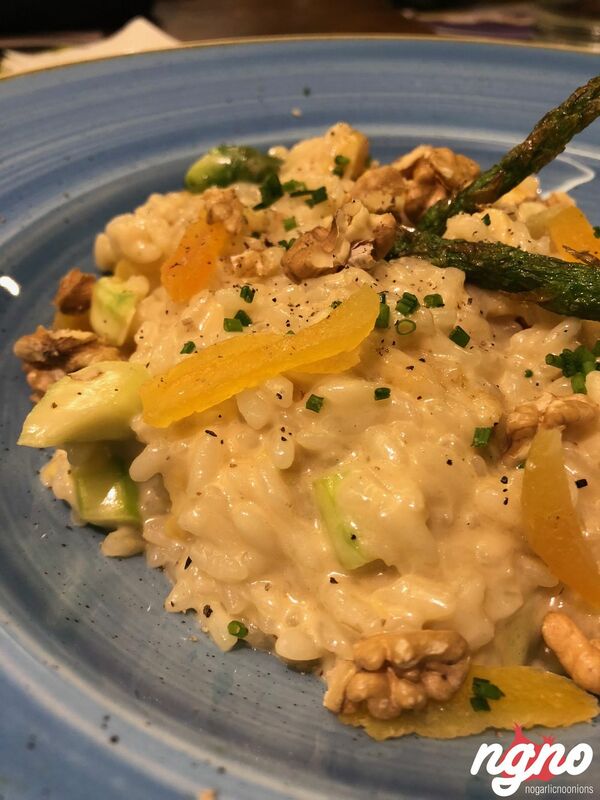 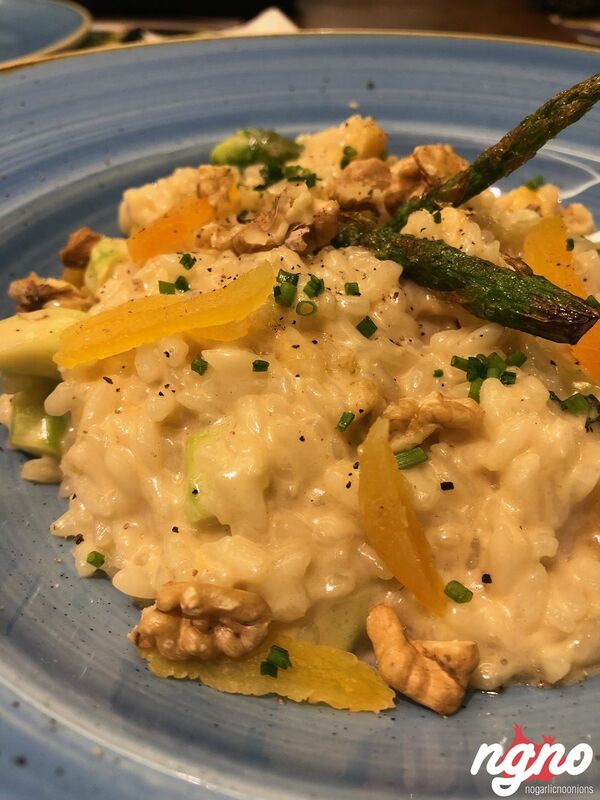 The best for last: asparagus risotto with roasted pumpkin, parmesan cheese, crunchy walnuts, sweet dried apricots and aromatic truffle oil. 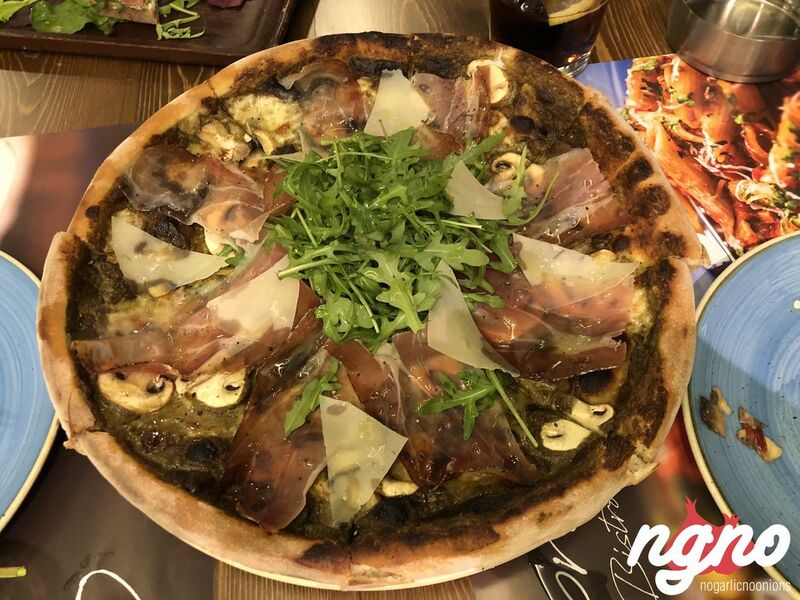 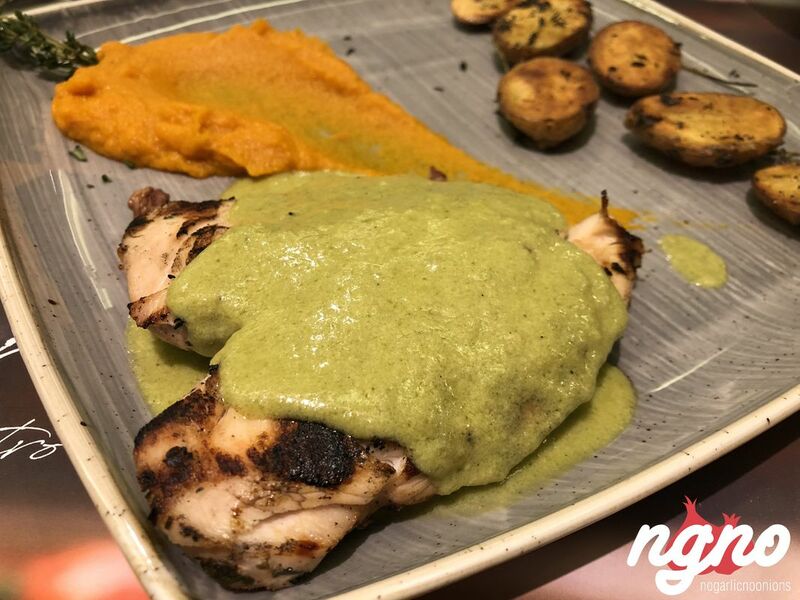 An exceptional combination of several ingredients carefully added one to the other making sure to activate all your senses. 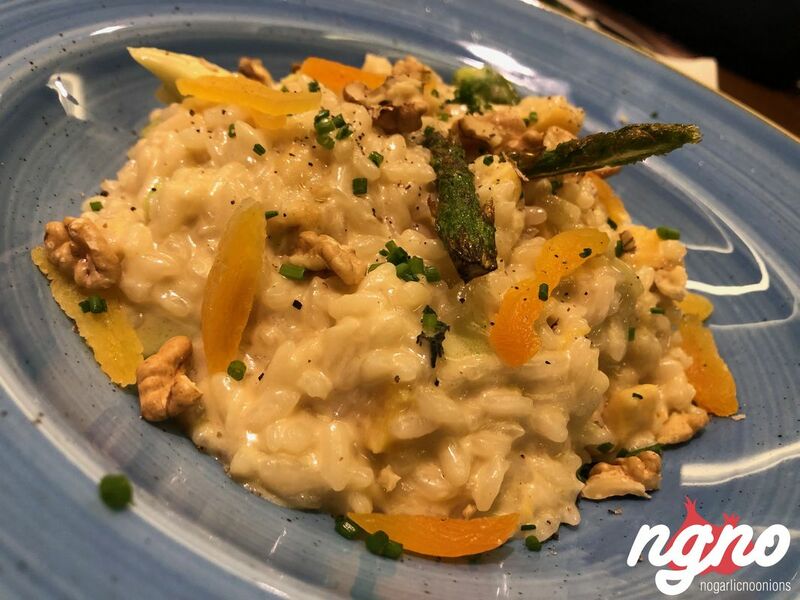 Risotto cooked al-dente, enjoyable chewy apricots, subtlety crunchy nuts and a light cream to caresse your buds in style; I loved this plate. 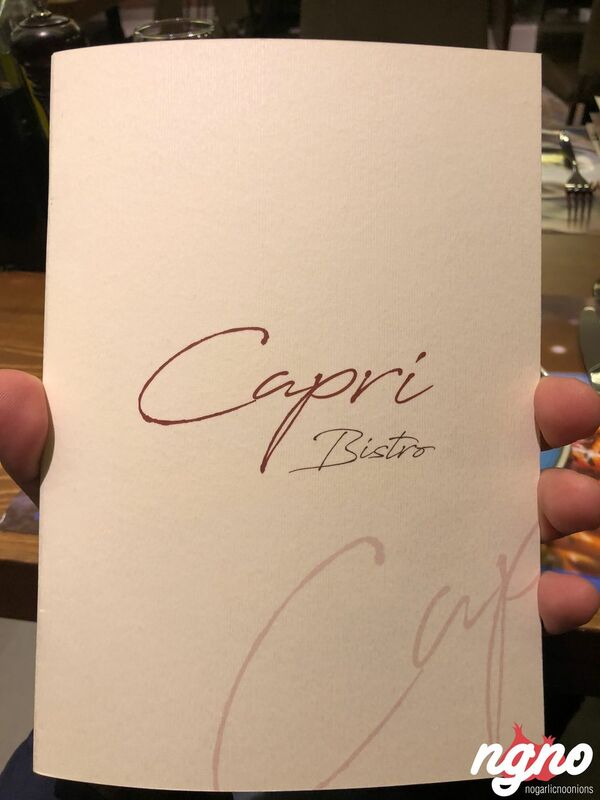 A dinner I enjoyed planning my next visit soon.